Who knows how long this Krinkle packaging design was around? Not as long as it looks I think; I guess it was issued in the early 1960s. It remained in use until well into the 1970s when they finally realised that nobody was dressing like Pollyanna any more. Note the price sticker from Woolworths stores proving it’s post 1967 for sure, but would have been purchased some time after 1972. The “updated” version of the packaging design, probably mid-late 1970s, didn’t look much more modern. Note the price sticker from McKenzie’s department stores. The chain was sold to L D Nathan & Co, Ltd, who subsumed it into the Woolworths brand, around 1979 so it dates from that year or earlier. This recent acquisition of Krinkle crepe paper wrappers is something I’ve been aiming to get hold of for ages. I’ve always liked them because the graphics were so old-fashioned; and even when they updated the classic version sometime in the 1970s – the replacement still looked twenty years out of date! 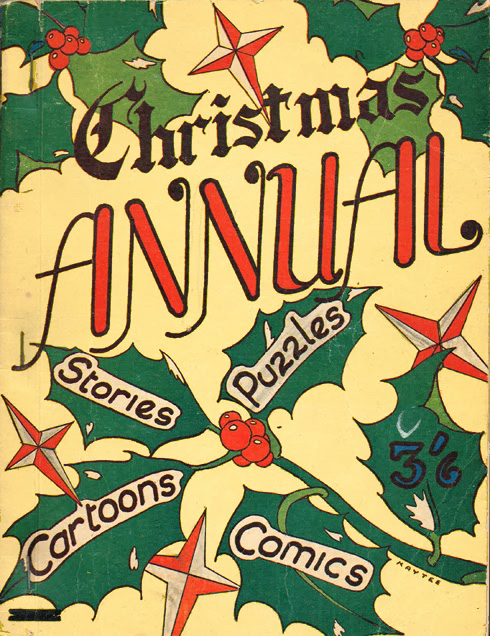 However it brings back real childhood memories for me in the way that Jay Tee patty pans and associated ephemera do; you knew when the Krinkle came out of the cupboard that something good was in the offing – whether that was a school fete, Halloween, Christmas celebrations or most of all – a birthday party. 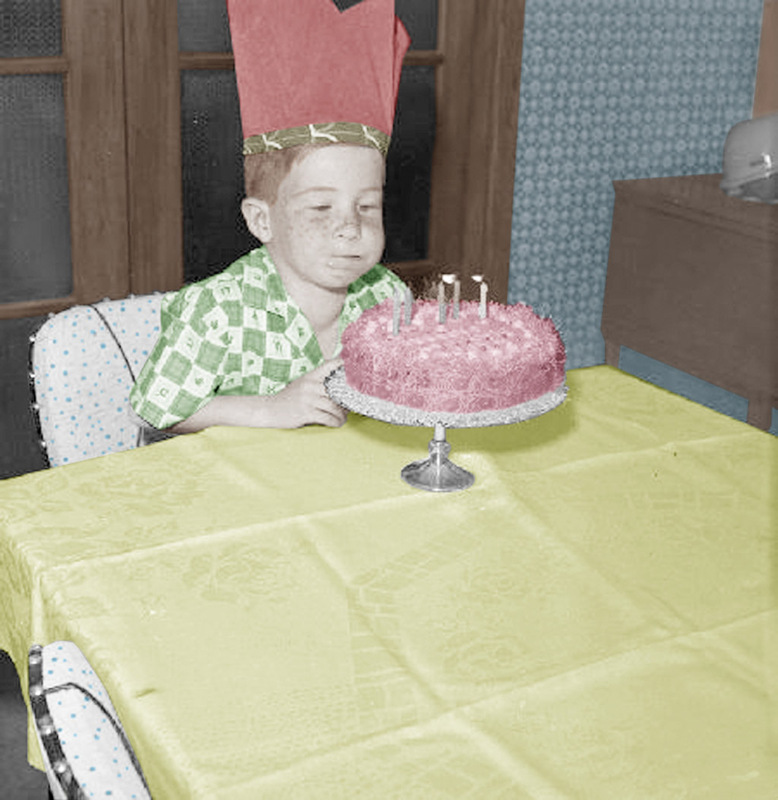 A boy blowing out candles on a birthday cake, by Bernard Woods Studio, October 1964. Swainson-Woods Collection, image courtesy of Puke Ariki and District Libraries collection. 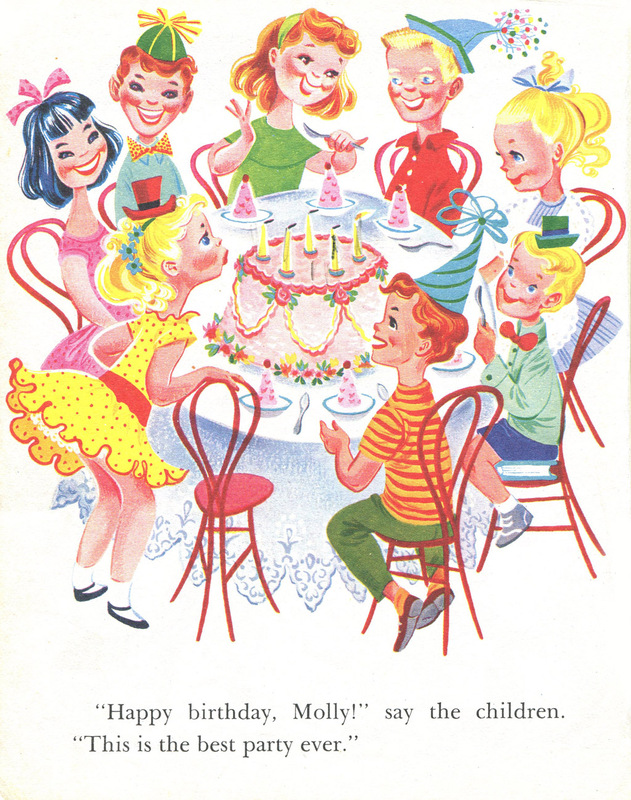 A plate from “Happy Birthday” by Elsa Ruth Nast, Little Golden Books, published 1973. 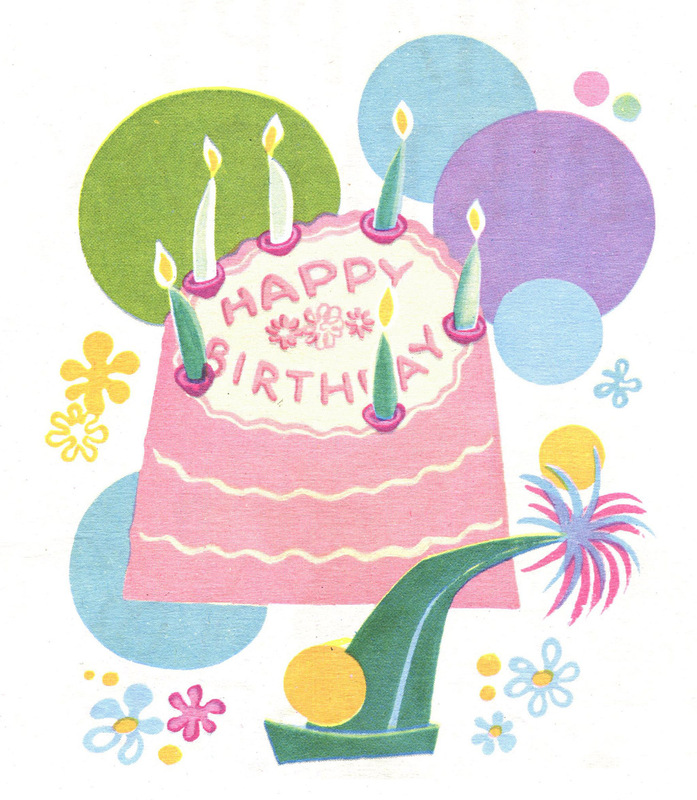 I closely associate Krinkle with one of my favourite books as a toddler – “Happy Birthday” by Elsa Ruth Nast – published as part of the Little Golden Books series in 1973 (yet, again, looking twenty years out of date at the time. This antipodean “backdraught” issue has been an ongoing theme of my postings). 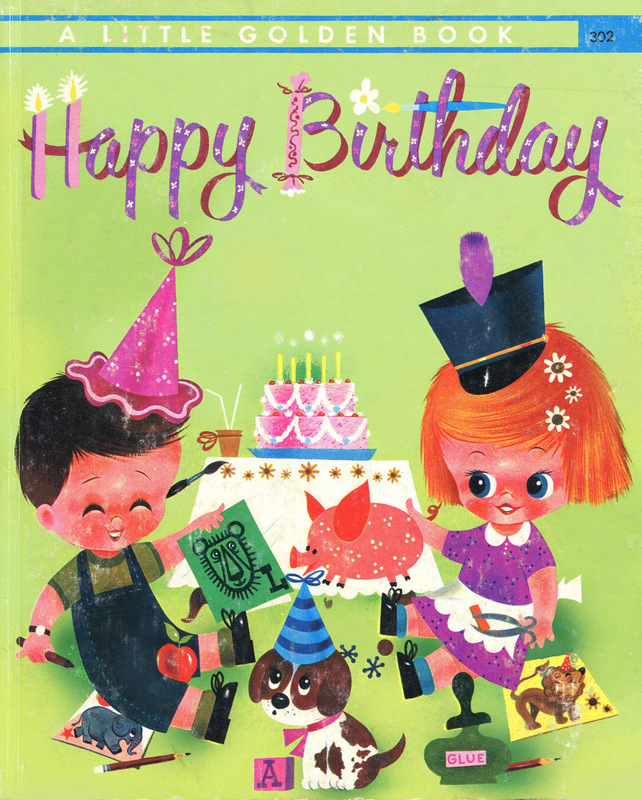 The original cover design from “Happy Birthday” by Elsa Ruth Nast, Little Golden Books, published 1973. 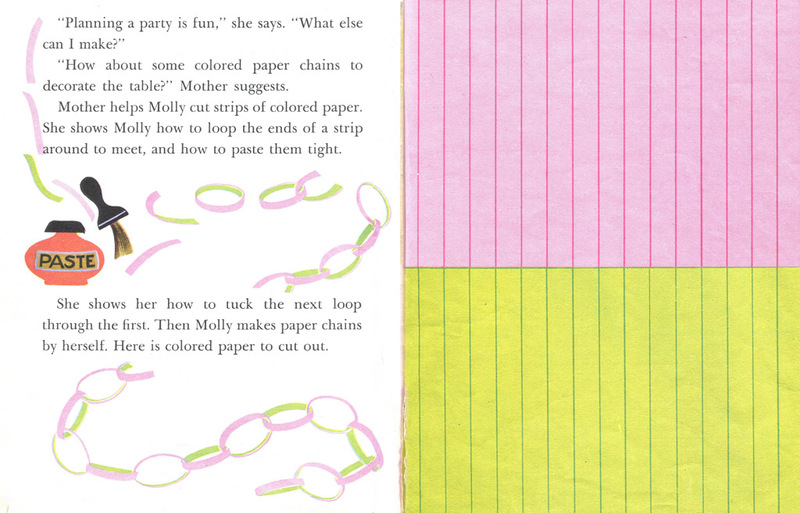 I was obsessed with the invitations, the candy baskets, and the pieces of coloured pink and green paper ruled so you could cut it up and follow the instructions to make the decorations straight out of the book. I don’t know if I actually ever cut my copy up, though. I think I loved it too much to do that! Birthday Renco advert from the New Zealand Woman’s Weekly, February 1962. 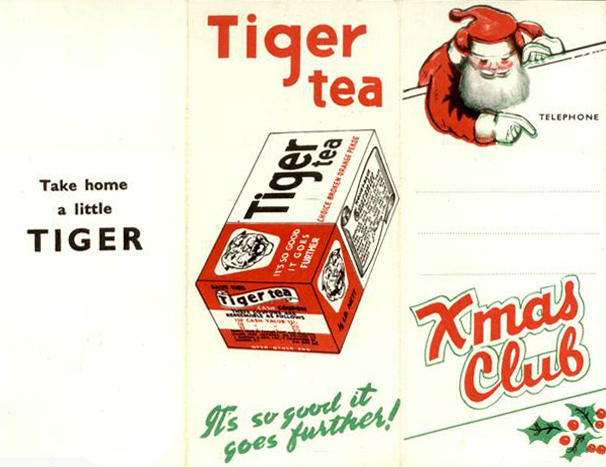 Krinkle was made by Caxton, a major printing company founded by Peter McIntyre Sr. – an extraordinary commercial artist who did some spectacularly beautiful and elaborate images for a number of clients himself such as Tiger Tea. 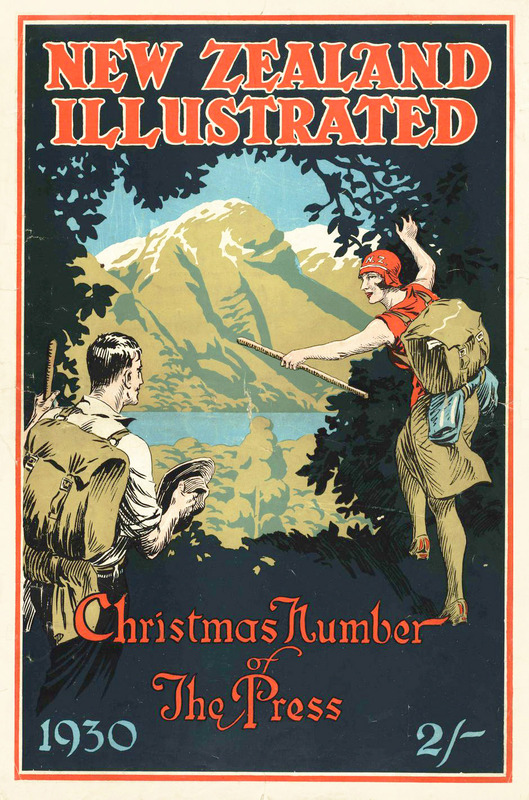 His son, Peter McIntyre , Jr. was also exceptionally talented; being the internationally renowned war and landscape artist who produced a number of best-selling coffee table books many would be familiar with. 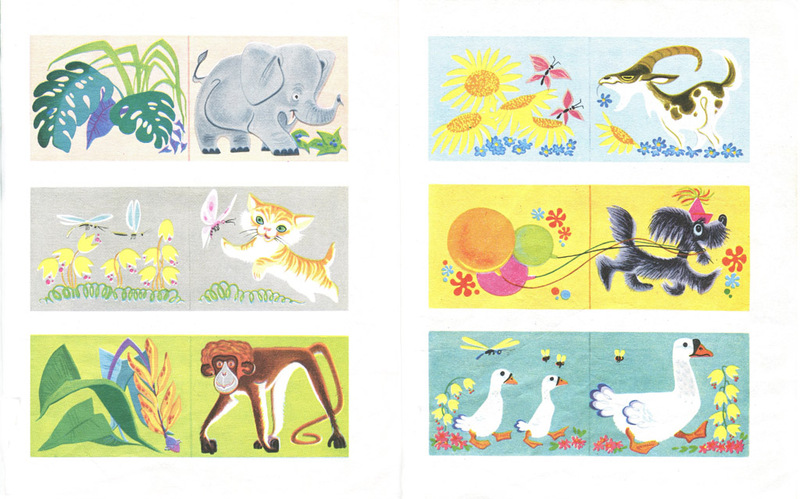 Loose endpaper illustration from “Happy Birthday” by Elsa Ruth Nast, Little Golden Books, published 1973. 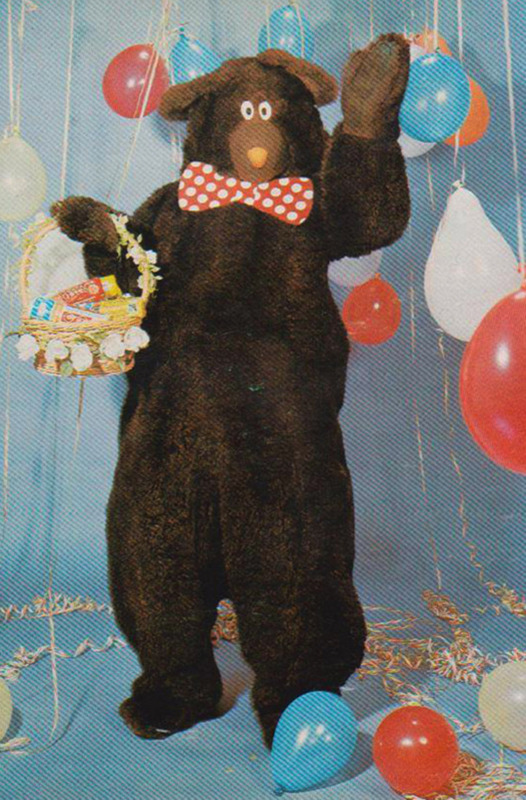 Cookie Bear birthday card, for Hudson’s biscuits, issued for 1975 by Cadbury Schweppes Hudson. 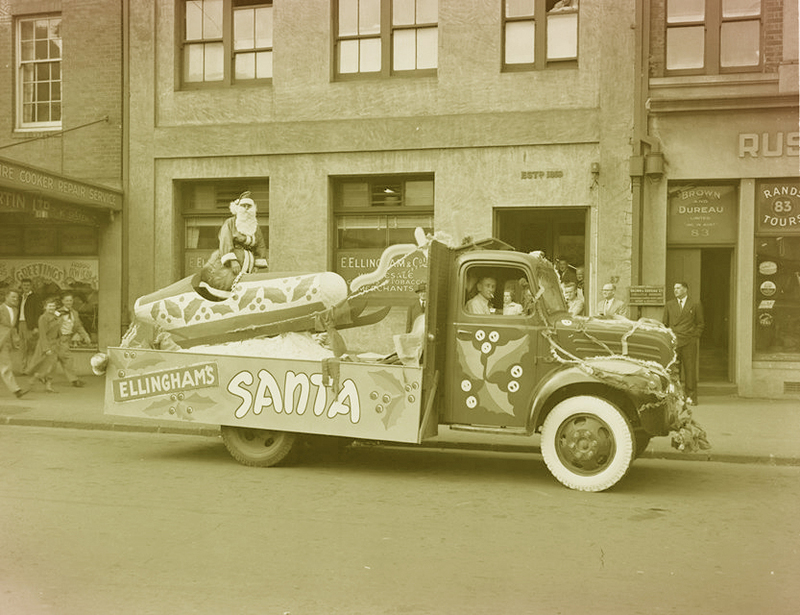 Image courtesy of Owain Morris collection. So yes, Krinkle makes this post a good excuse for a general birthday theme. Paper hats, crackers, streamers, blowouts and balloons abounded. Brands of cake candles were Kiddies, Dawn and Elfin (there were others that were popular – I can’t remember the names). Crepe paper brands were Fashion by Harley, Dennison, Pierrot, and Sylkette. There were a few more over the years. 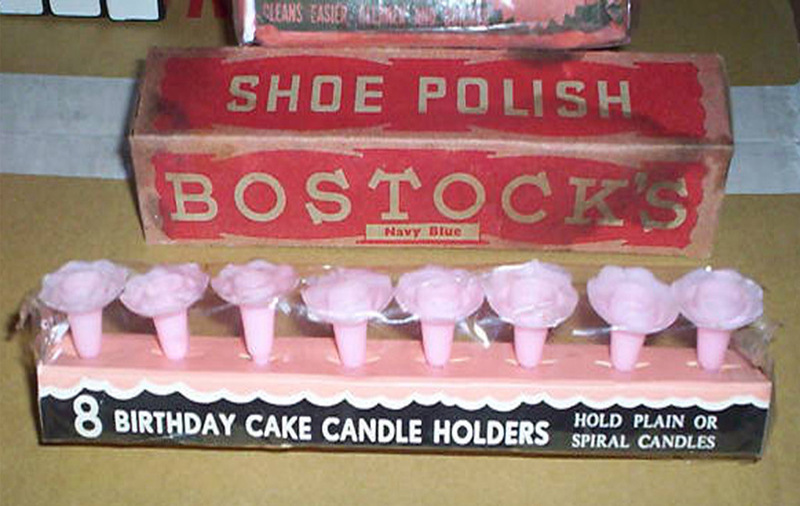 I actually had quite a large collection of cake toppers and decorations at one point, as well as party decorations, toys and favours- a lot of them still looked really old-fashioned at that time and I’d go to cake shops and buy them just to put on the shelf. 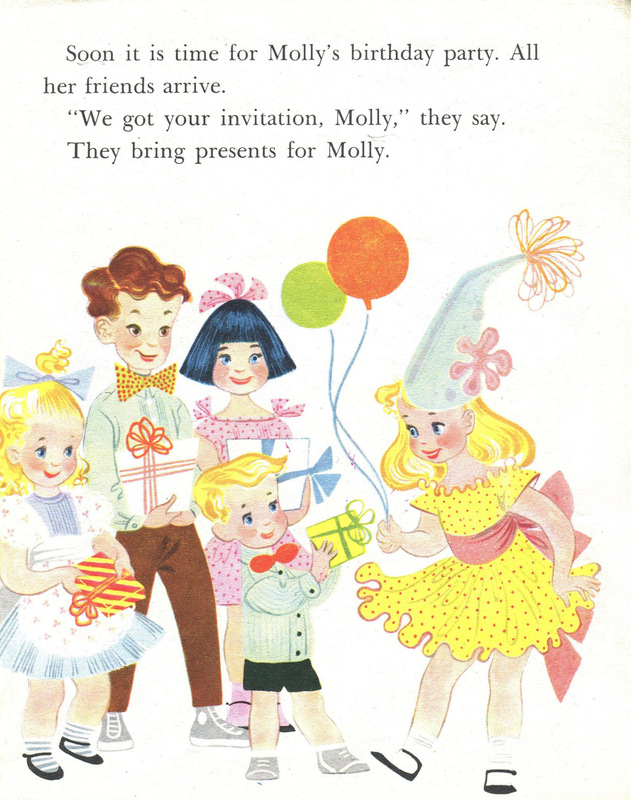 Above and below: Party candy cups from “Happy Birthday” by Elsa Ruth Nast, Little Golden Books, published 1973. Apart from all kinds of favours and games, the food was the main feature and included classic children’s party fare like little boys with Kiwi gravy (also known as saveloys with tomato sauce), chocolate crackles, sausage rolls, iced cupcakes or cream fairy cakes, asparagus spears rolled into buttered white bread. 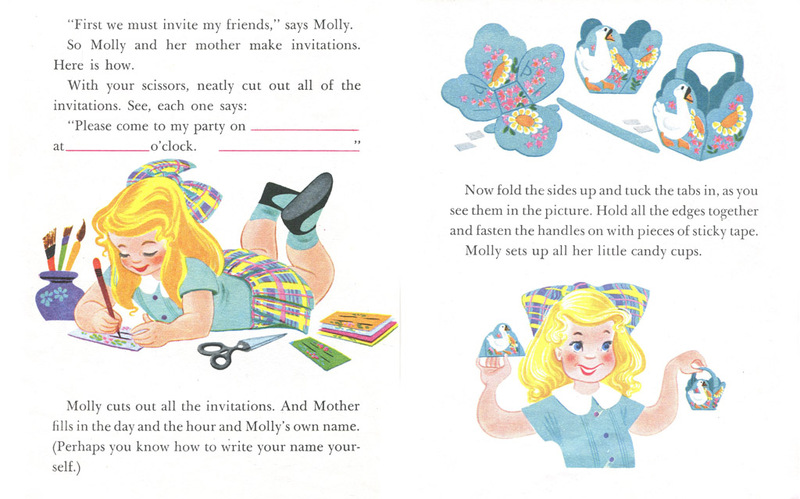 A plate from “Happy Birthday” by Elsa Ruth Nast, Little Golden Books, published 1973, showing how to make invitations and candy cups. 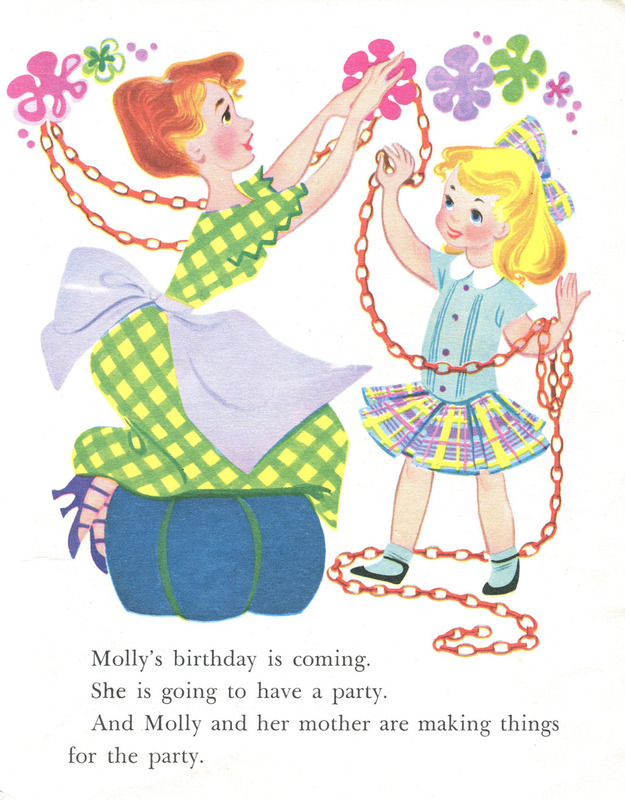 A plate from “Happy Birthday” by Elsa Ruth Nast, Little Golden Books, published 1973, showing how to make party decorations. 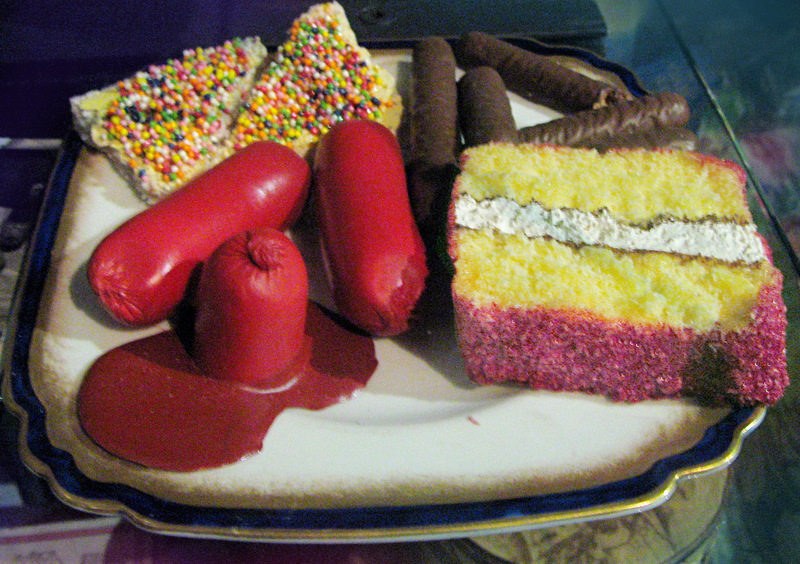 Lamingtons, potato chippies with sour cream & chive or seafood flavour dip, fairy bread sprinkled with hundreds and thousands, cubes of cheese and pineapple threaded onto toothpicks and stuck in cabbages decorated with edible faces, all washed down with Leed, Fanta and other drinks from the Coca Cola Co, or perhaps Jucy raspberry, pineapple and creaming soda. 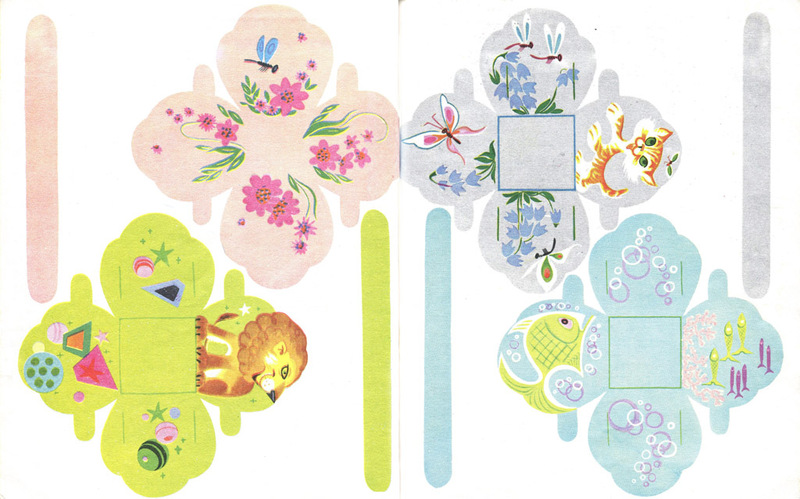 Invitation designs from “Happy Birthday” by Elsa Ruth Nast, Little Golden Books, published 1973. 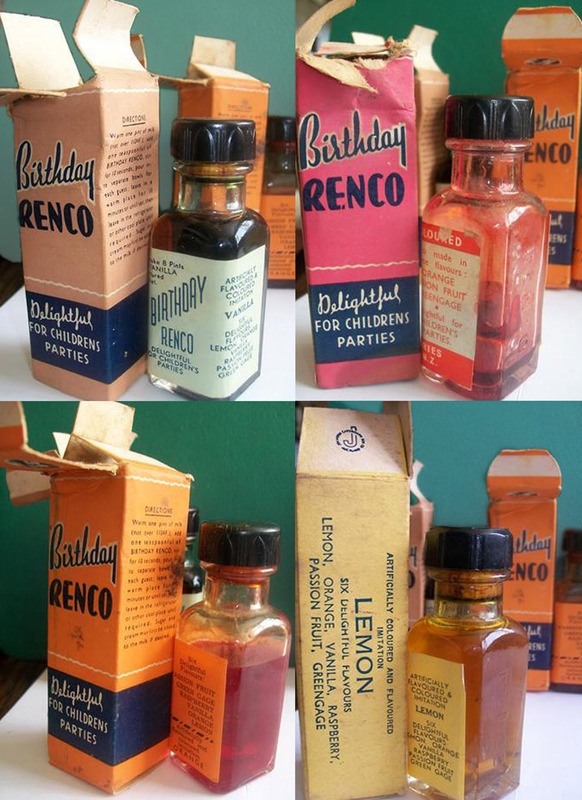 Birthday Renco boxes, and bottles still labelled and with original contents. They probably date from the late 1950s-early 1960s. 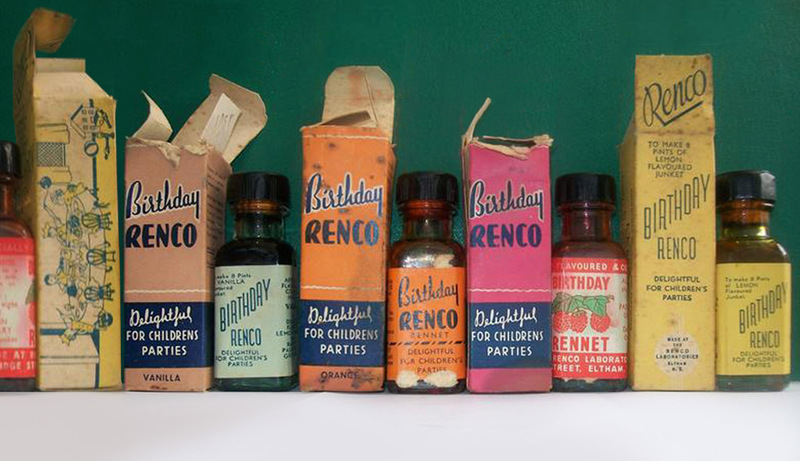 The quite un-celebratory sounding but brightly packaged Birthday Renco, which I’ve featured some images of here, was a little before my time. It was made by the N.Z. 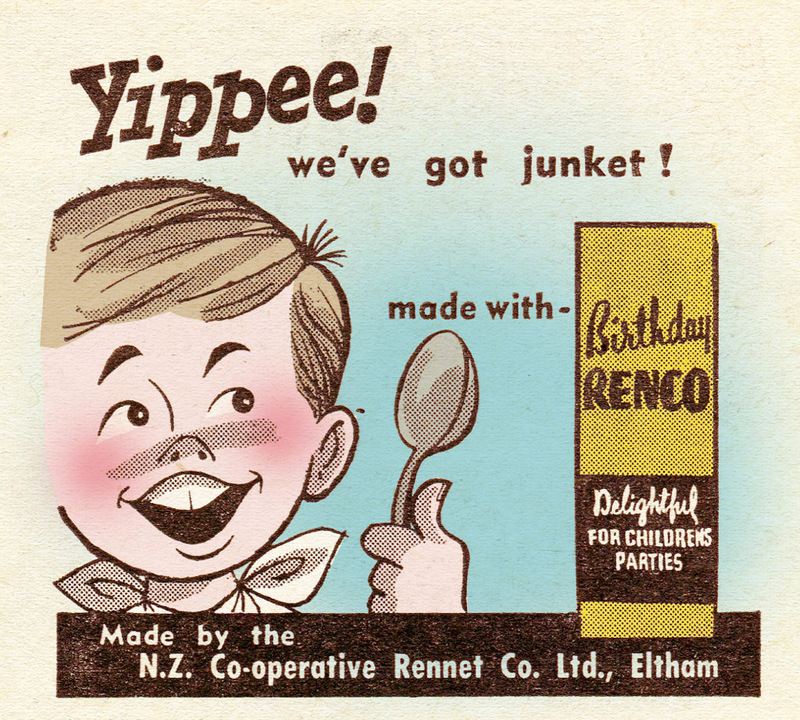 Co-Op Rennet Co Ltd., known more commonly for their junket – and they also made cheese under brands like Pixie. Nevertheless this product was around for four decades in six flavours – orange, lemon, vanilla, raspberry, passionfruit, and greengage. 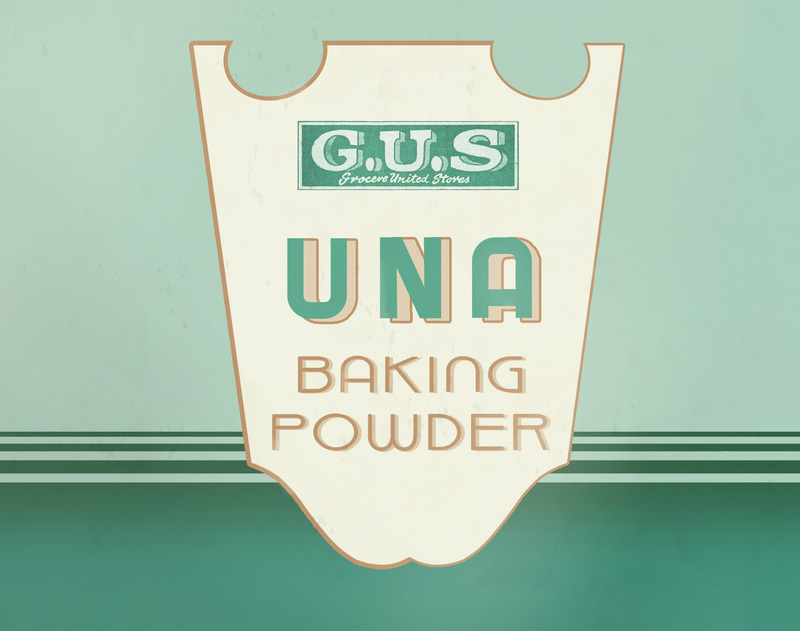 It was launched in the 1930s and around until the 1960s that I know of. 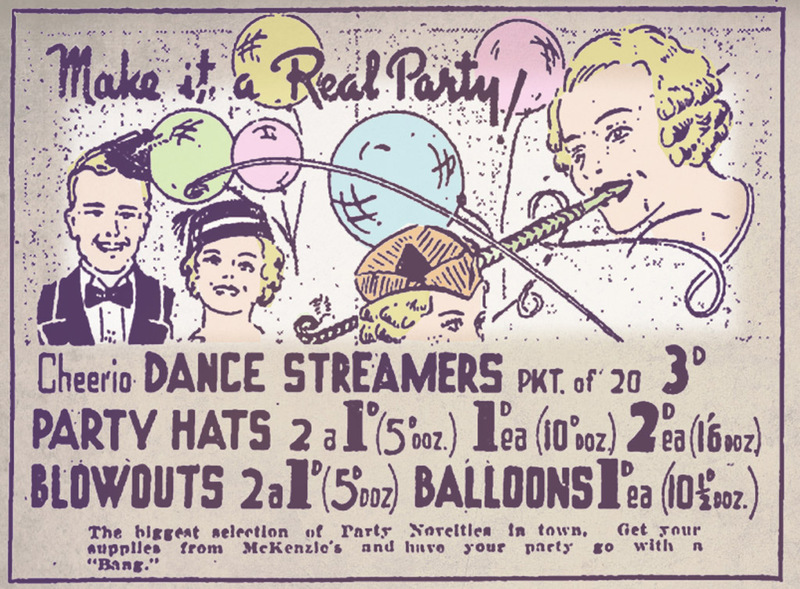 Advert for party novelties range from McKenzies Stores, Evening Post, June 1937. 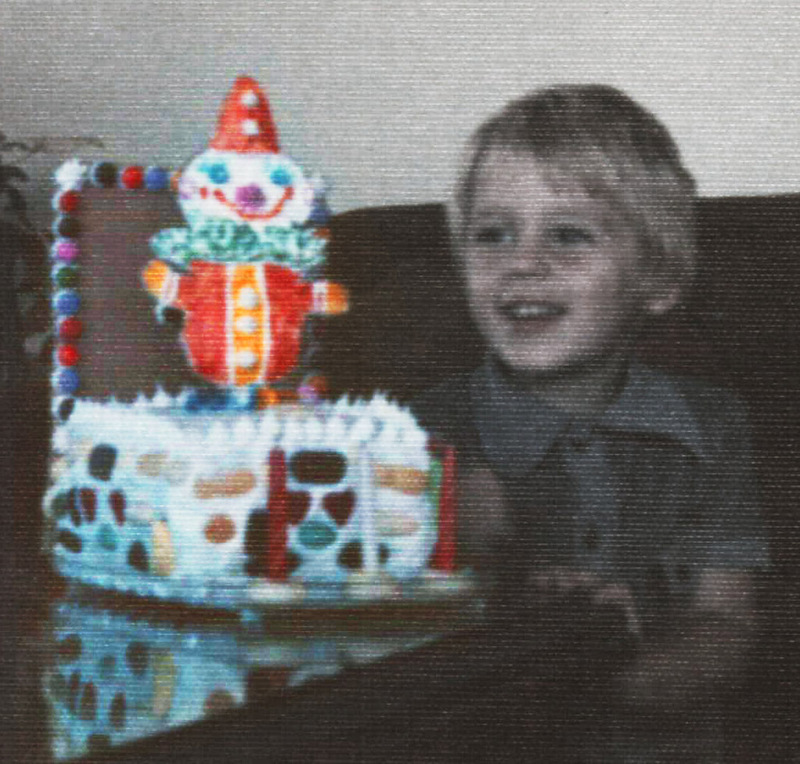 Me with my Jack In The Box cake for my third birthday. 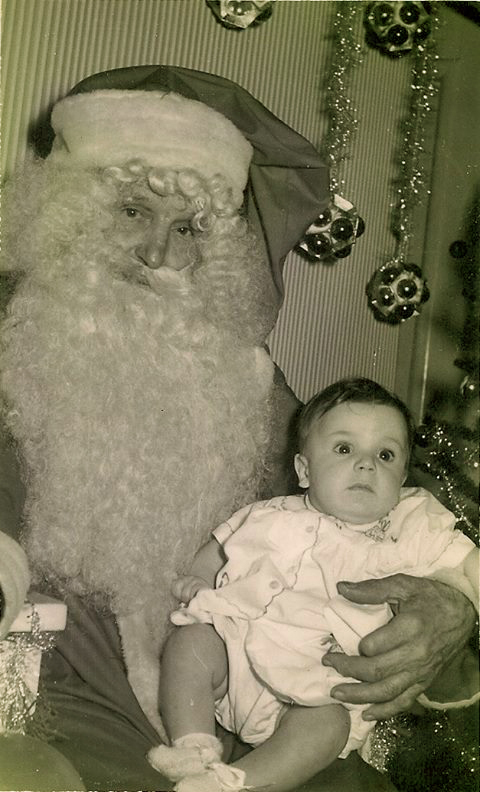 Personally, birthdays were a bittersweet time for me – I had a couple of duds .On my seventh birthday, I was allowed a rare treat – a “bought lunch” at school. We were usually allowed this once a year (or maybe twice if there was some kind of cataclysmic family event). My fifth birthday party with my sister’s panda cake in the foreground. I remember helping to make the streamers and hats out of Krinkle crepe paper and milk bottle caps with my Mum. 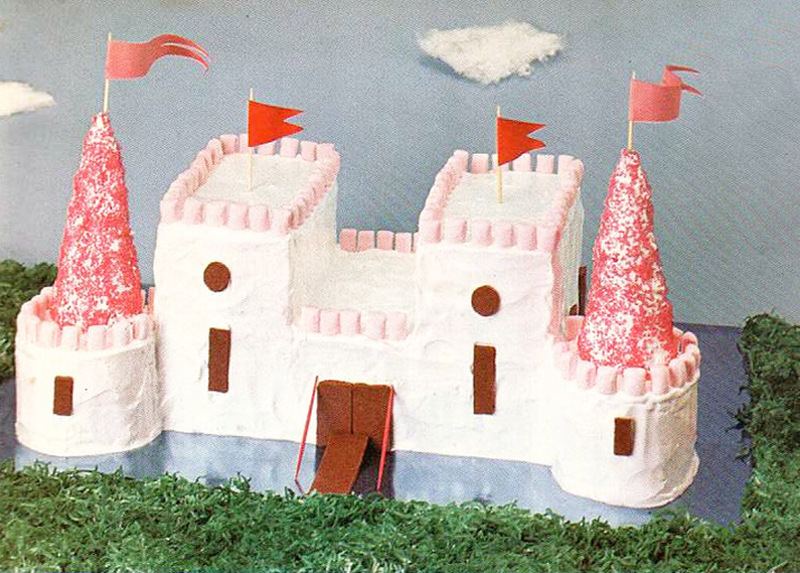 A castle cake from “The Betty Crocker’s Cookbook For Boys and Girls”, published around 1965. This is remarkably similar to the one I got for my fourth birthday. I dropped the boiling hot Big Ben pie on my leg causing a nasty burn that blew up into a huge blister, and spent my birthday party in agony, and too miserable to enjoy the number of Lego sets I received as gifts. While I sulked, all the other guests enjoyed my treasure chest cake. 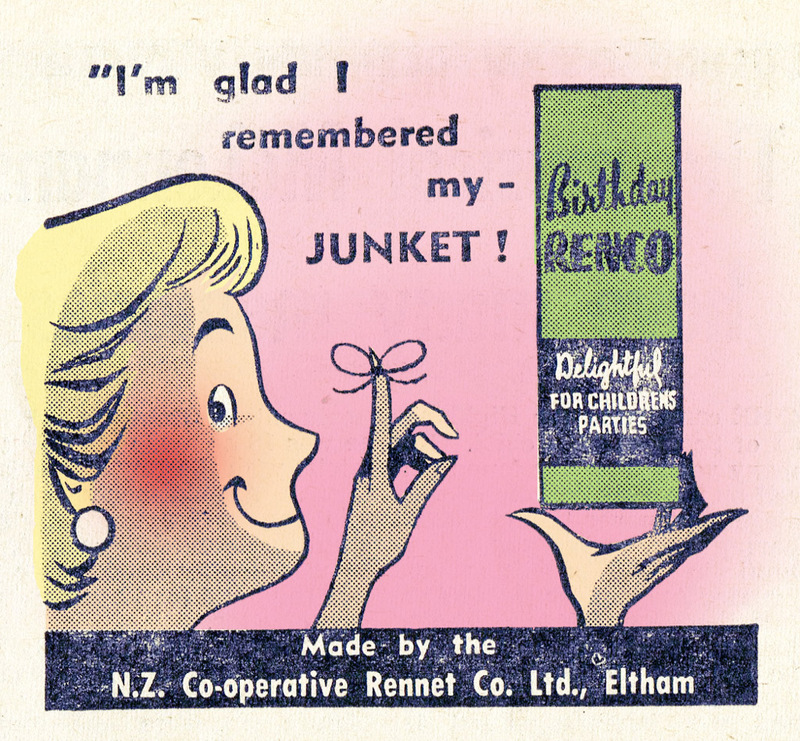 Birthday Renco advert from the New Zealand Woman’s Weekly, January 1962. So as a consequence they haven’t ever really held a special place going forth; more than anything else it was always more about the cake for me. And my mum was a great theme cake maker. You never said “this year, I want…” – she decided what cake she was making for you and that was that. The first one I remember she made me, was a Jack In The Box cake pebbled with lollies; the Jack made completely from icing. 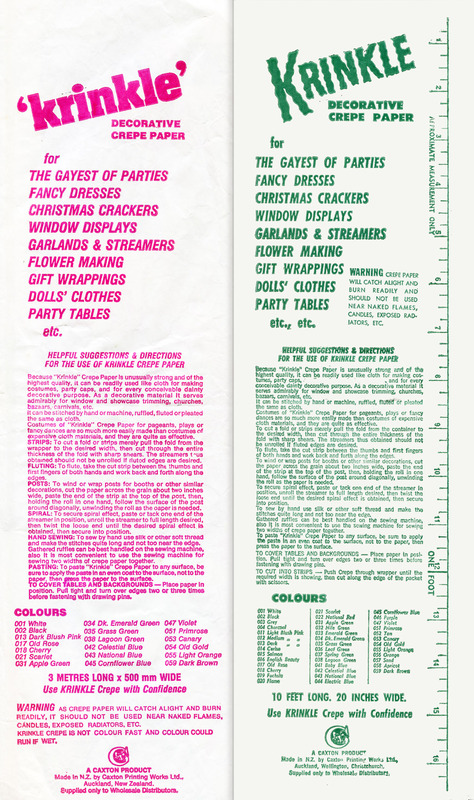 Box for self line party crackers from Woolworths stores, I’m estimating these date from the early 1970s. There was a semi-circular rainbow iced in seven different colours, and then the above-mentioned chocolate treasure chest, open and filled with candy. It was downhill from there. 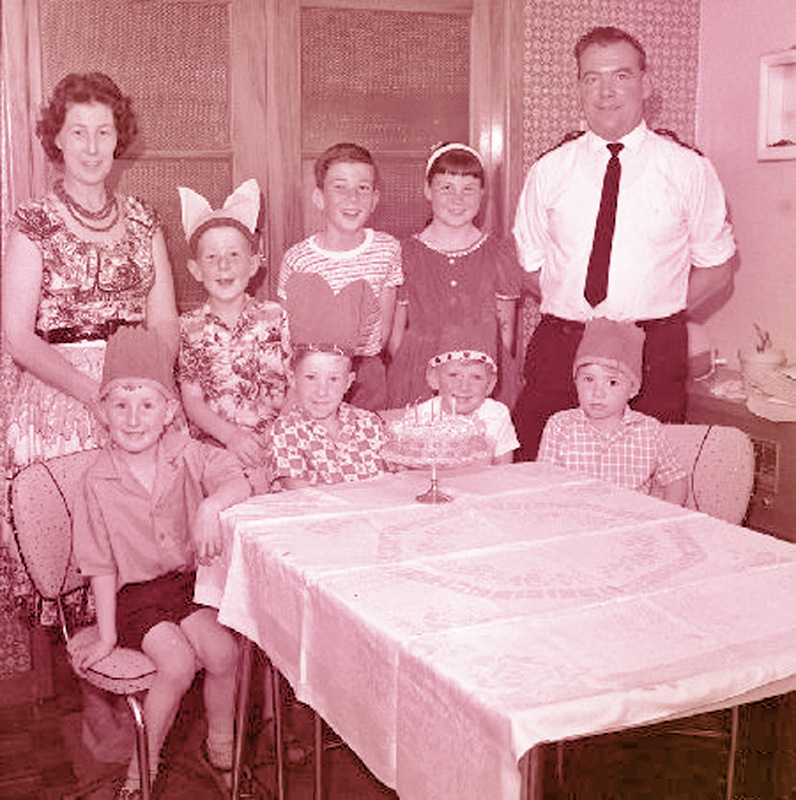 A boy’s birthday party, by Bernard Woods Studio, October 1964. Swainson-Woods Collection, image courtesy of Puke Ariki and District Libraries collection. 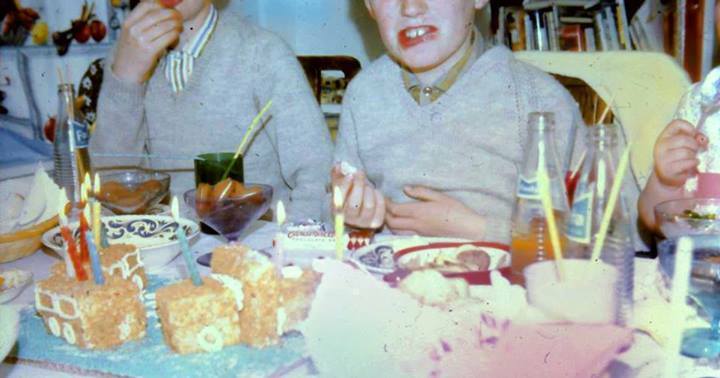 These candle holders were fairly common – you’ll notice them in use on my sister’s panda cake in the image of my fifth birthday party above. For my fourth I memorably got a grand castle cake – with green coconut grass, marshmallow brickwork, and the towers topped with iced waffle cones. My sister went missing during the party and was finally found upstairs on a stepladder in the kitchen where she had eaten most of the turrets off it. I was devastated and inconsolable! She essentially upstaged me on my special day (this sibling rivalry on her behalf was to be, like so many have probably experienced, an ongoing theme). So for the next birthday I got a cake and my sister got one as well – a panda which was bigger than mine – so she wouldn’t get jealous and ruin my cake again. So effectively she managed to turn my special day into hers. It was a sign of things to come. These days I prefer to completely ignore my birthday – it’s just easier! 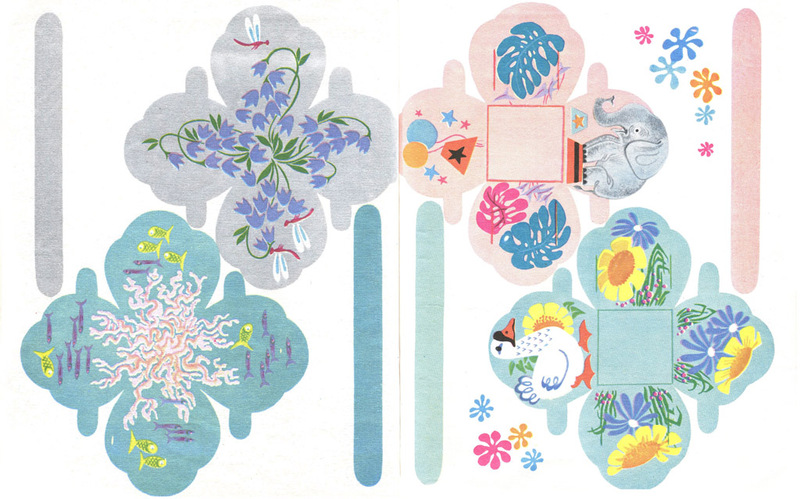 The back of both Krinkle crepe paper wrappers: Late 1970s design on the left, early 1960s design on the right. Note the large range of forty different colours with evocative names, which was later much reduced. 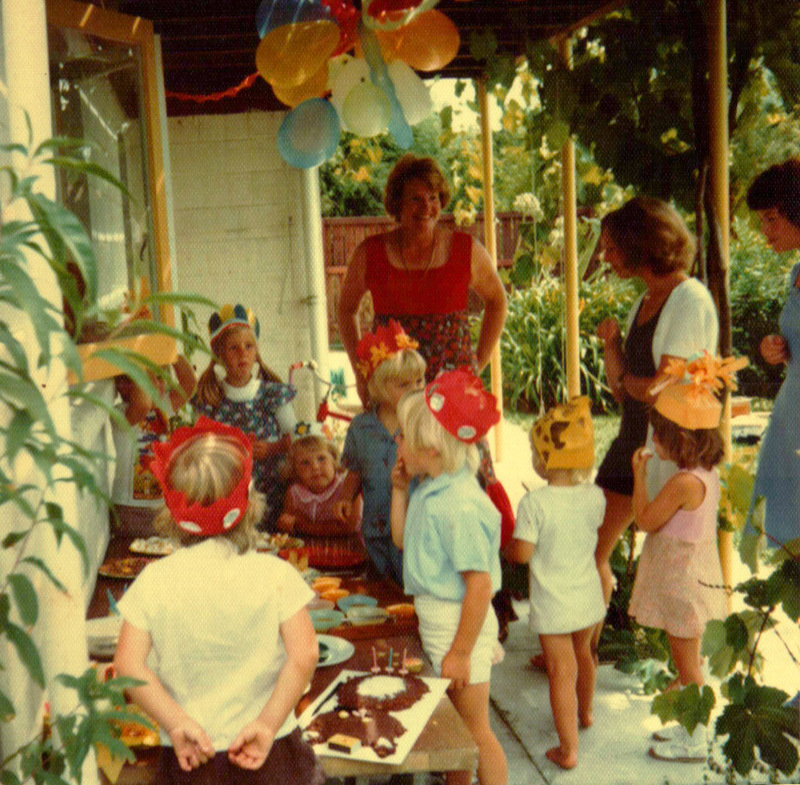 Snapshot of a typical 1970s birthday party. Image courtesy of Stuart Broughton. a a a All content of Longwhitekid copyright Darian Zam © 2014. All rights reserved. 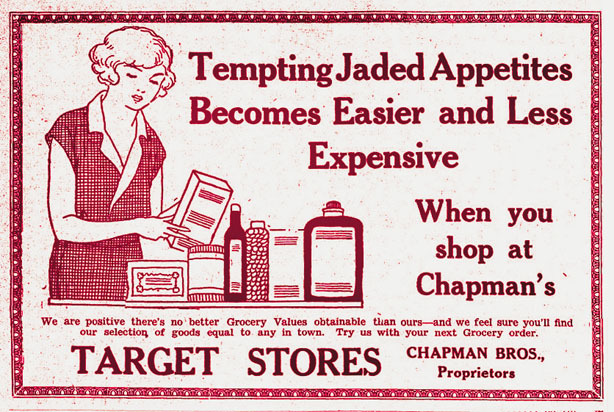 From the 1920s onwards a revolutionary new way of shopping was introduced – the “self service”. 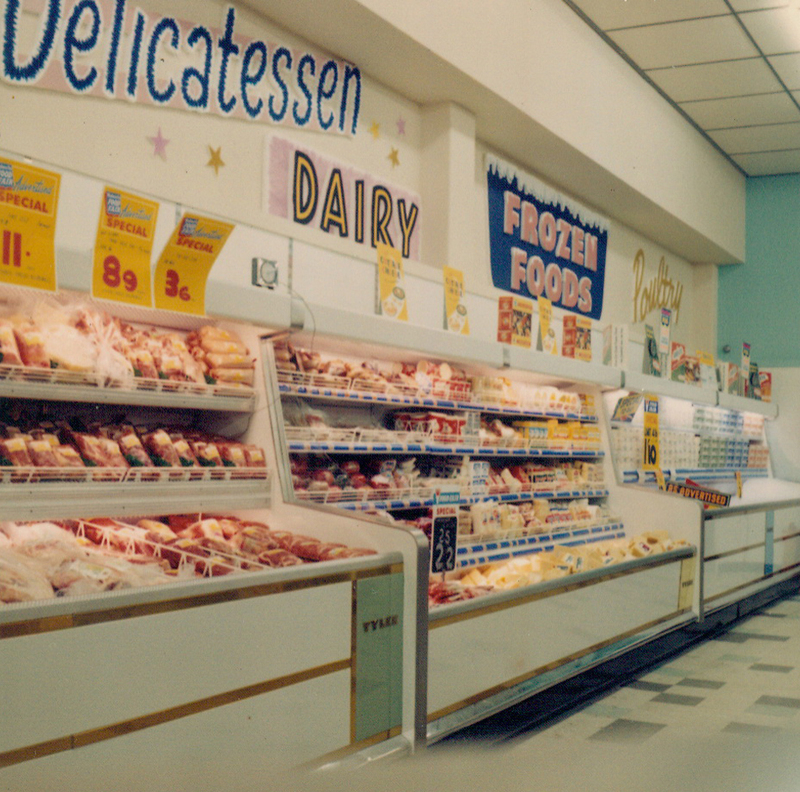 Traditionally orders would be placed by you at the grocer’s counter and employees would weigh and pack for you, as you pointed to the shelves behind them to indicate what you wanted from the available stock. It was also fairly traditional to bring your own containers to refill. Throw-away packaging simply didn’t exist in the way it did later on. 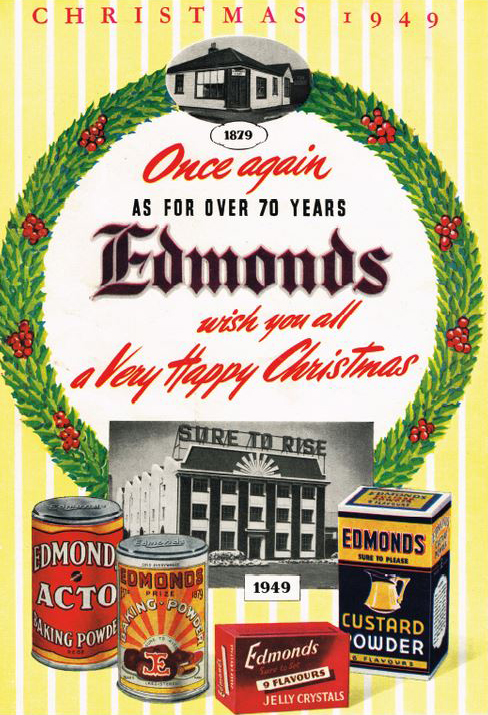 It was a radical idea that took quick hold and grew phenomenally, in tandem with social and economic factors such as the end of rationing, a post-war yearning for freedom and leisure, and subsequently a market flooded with new product to fulfil demands for convenience. 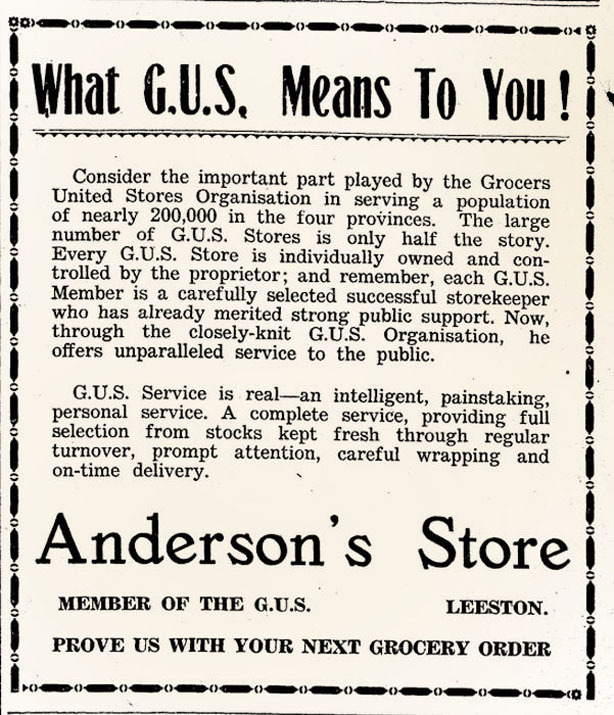 In the mid to late 1920s there were few chains – such as 4 Square, AG Stores, and Self-Help. It’s possible, and certainly true in the instance of Self-Help at this time, that you selected your own goods- but still took them to the counter to be packaged, in somewhat of a transitional compromise of tradition. 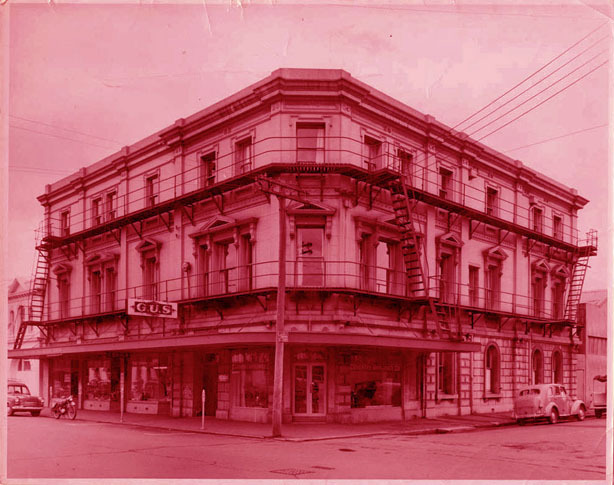 Fuller-Lipton’s Ltd. was situated at 101 Cuba Street, Wellington – half-way along the eastern side of Cuba Mall. 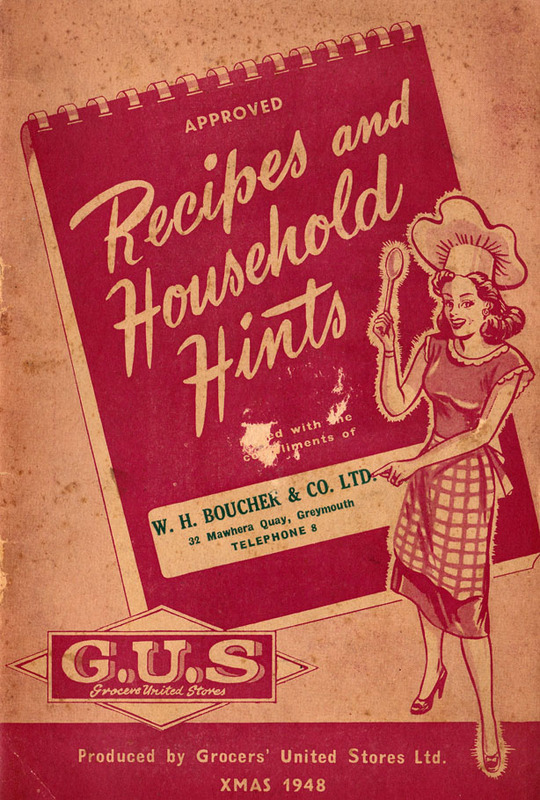 By 1934 the company appears in publications heavily promoting their wares. 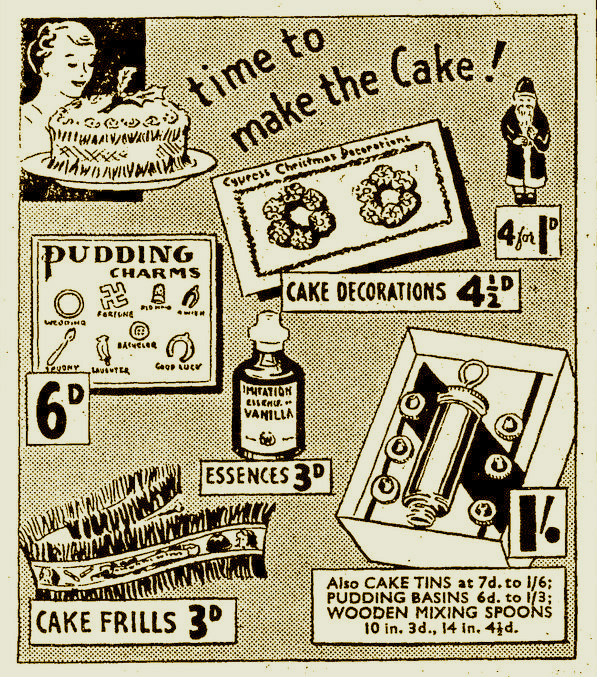 If you look around in newspaper archives you can find plentiful adverts for their various products, which are pretty over the top; often with comical cartoons illustrating the butter, smallgoods, candy and other products. 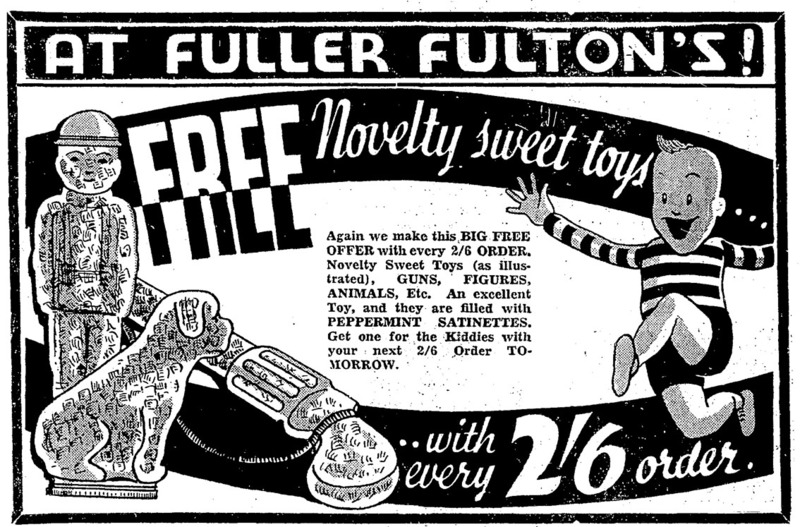 It wasn’t long before the name has switched from Fuller-Lipton’s to Fuller-Fulton’s; I am not sure what the desire behind the name change was, but I know how it came about – it was a public competition to rename the store in 1935. It was likely a publicity gimmick to promote the business, much in the way that MGM held a competition to name a new starlet ( the winning moniker was Joan Crawford). 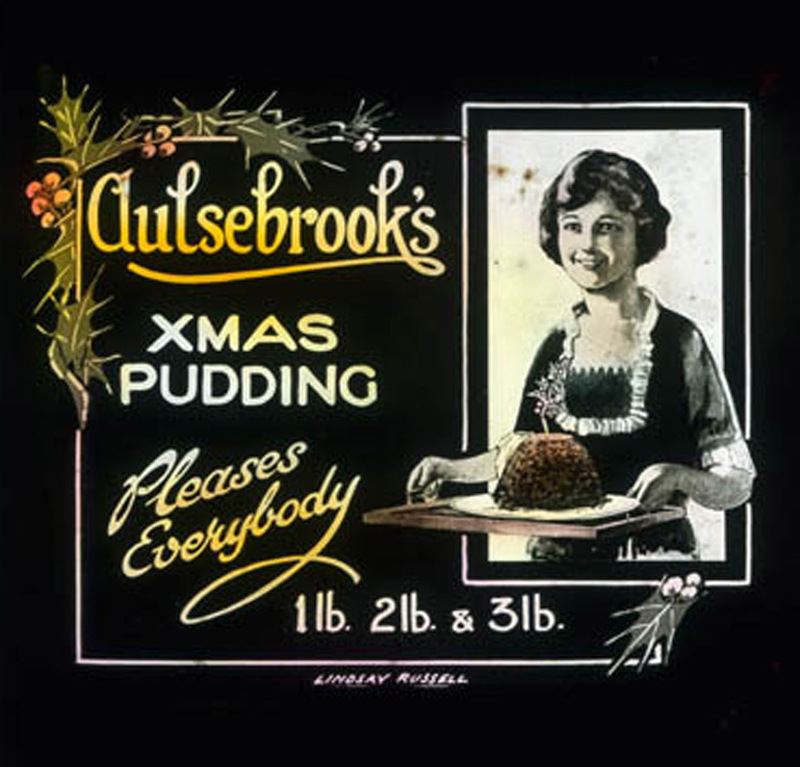 Nevertheless, the name became synonymous with exotic treats – It was one of the largest delicatessens in Wellington and had a reputation amongst European migrants as being the place to go to buy all sorts of interesting foodstuffs at a time when the selection was fairly conservative and bland. 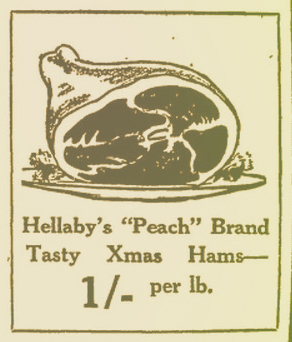 “The thing I particularly remember was the distinctive smell of all the cured hams and salamis and such-like, wafting through the door”, remembers one Wellington regular. 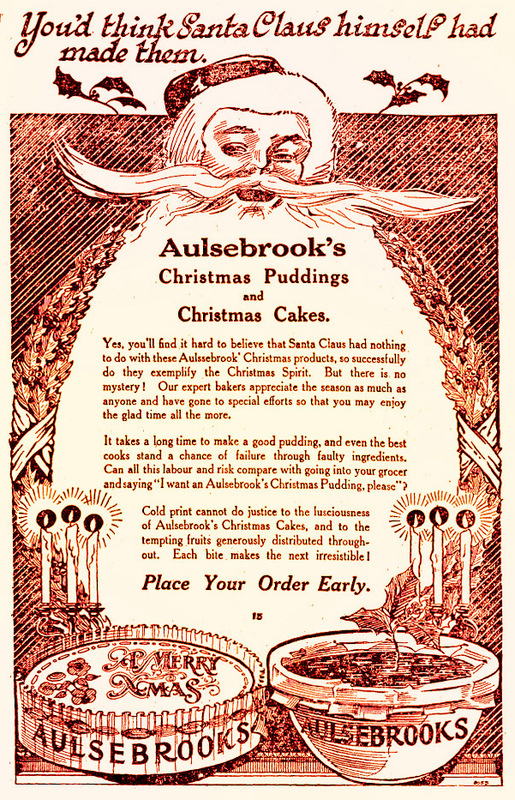 It certainly doesn’t make a big deal of a fanciful gourmet aspect in the ads, heavy on the butter, eggs bacon and chocolate, really quite standard fare (or seems very much so to us now) – so it’s interesting to get an insider’s perspective. 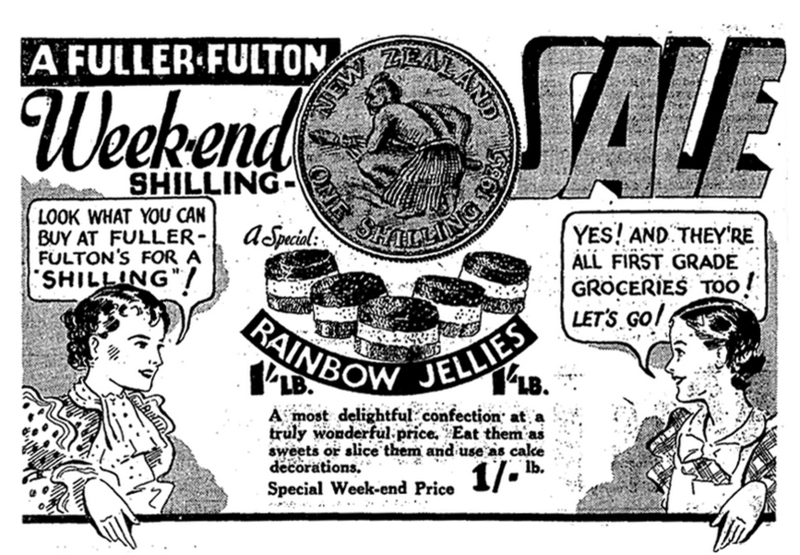 He also states that Self-Help (then Co-op, now Sutherland Trust) acquired Fuller-Fulton’s. 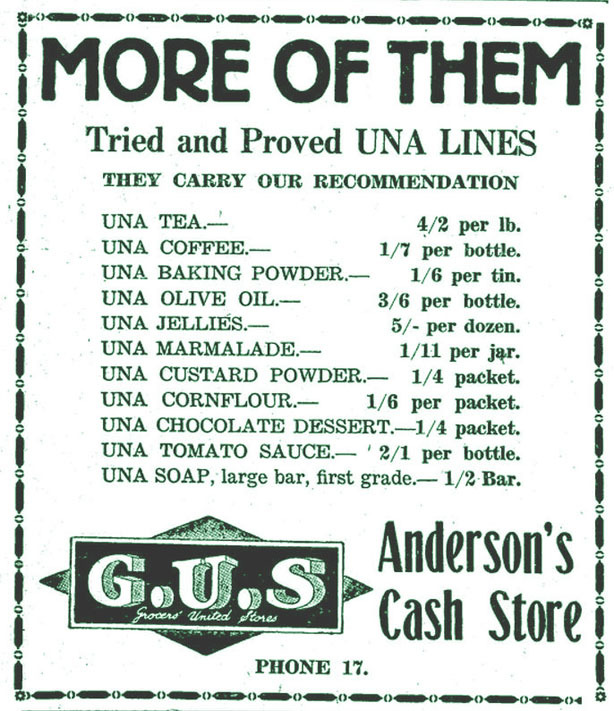 I am sure there was a small chain of stores by the late 1930s, certainly more than one as far as I recall from ads I’ve seen. 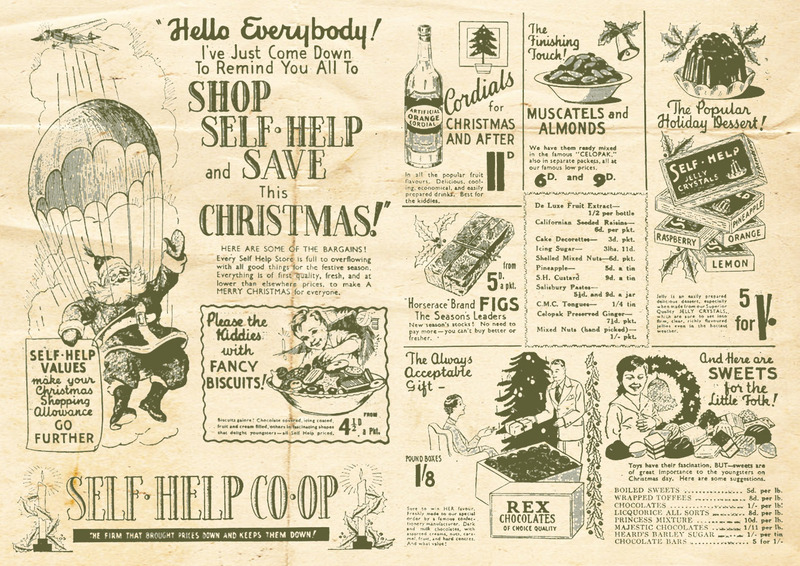 Self-Help most likely acquired it by the end of the 1940s – they had at least 200 stores by the end of WWII themselves, so a company to be reckoned with. Yet I haven’t actually seen any evidence to back up this claim thus far; and there’s no mention of it that I’ve seen in the company history of the Self-Help organisation. 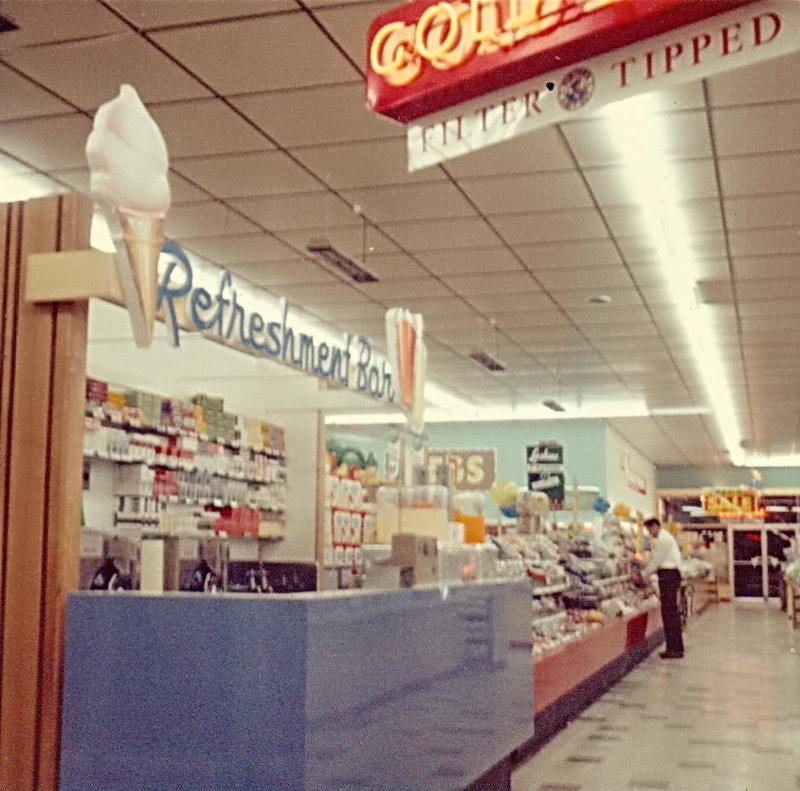 In the mid fifties Fuller-Fulton’s converted to a supermarket but still retained the service delicatessen, and then a few years later doubled it’s floor when a bank vacated the building. Eric Kearney later mentioned to me that Self-Help purchased the store when it was Fuller Lipton’s and held the competition for the name change, so 1935. He says: “Self-Help owned many stores under other names. 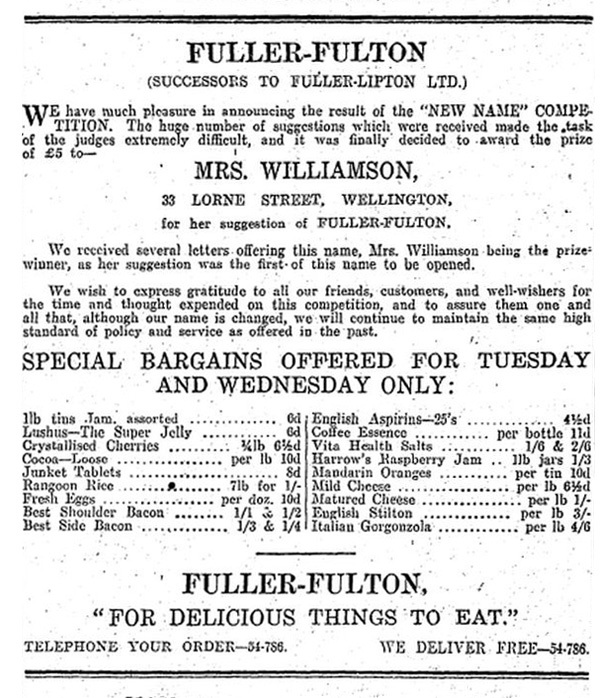 such as Poplar Stores just up the road from us, but Fuller-Fulton’s had a reputation par excellence”. As Self-Help were acquired by Woolworths in 1971 and phased out pretty quickly as far as I know, Self-Help obviously jettisoned Fuller-Fulton’s or part thereof at some point as Fuller-Fulton’s survived, or at least the main store did – surprisingly late in the game – with one person remembering working there as late as 1986. He says: “After the sale by National Distributors and the Self-Help Trust, the premises became a shoe store”. So it still doesn’t supply an answer. Anyway, I wonder what happened after that, between that late sixties and the late eighties? There’s a few unanswered questions, no photos as yet, and no doubt some more to this story. 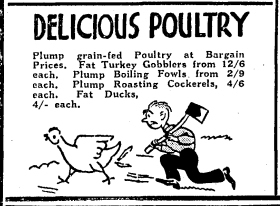 so until then, I’ll leave you with this retrospectively completely inappropriate poultry ad from 1934! 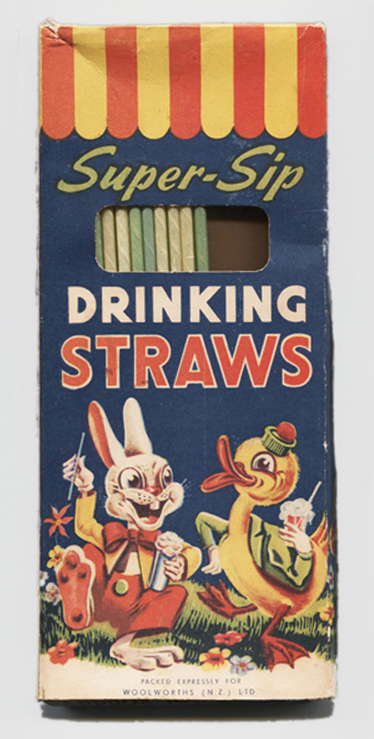 This is a recent Trademe purchase – a vintage box of “Super-Sip” brand drinking straws made by Woolworths. 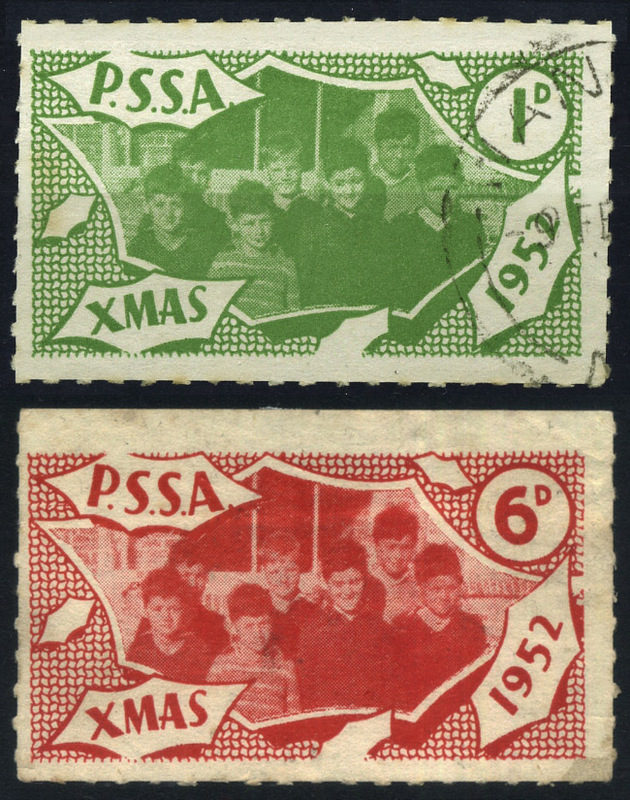 As it turns out, I have since discovered they were also produced in Australia; albeit in a different main colour scheme of dark red – as opposed to blue. 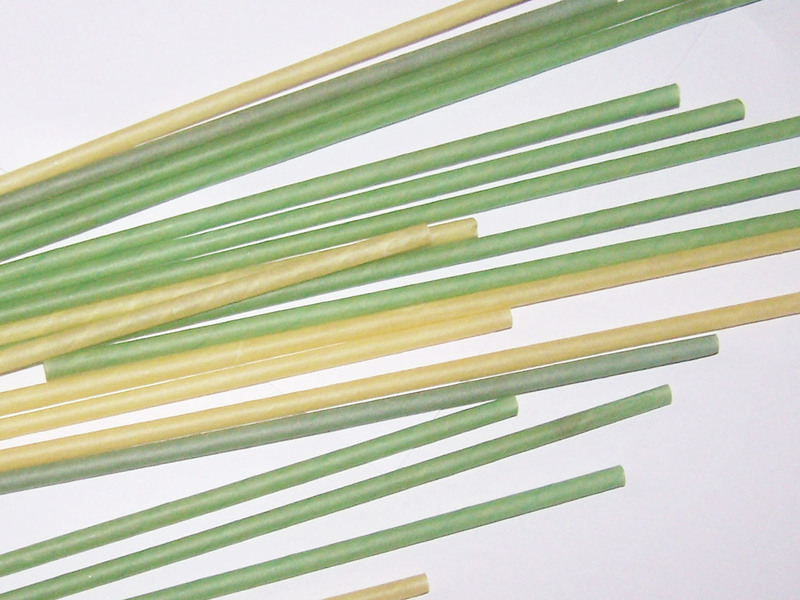 I love the graphics which are different on all sides, and it still has most of the original green and yellow straws inside. These were the days when they used to actually put some effort in, and remember, a lot of it had to be done by hand! It’s a common misconception that Woolworths Ltd in the Antipodes is part of the F.W. Woolworth Company in the United States. It has no connection. 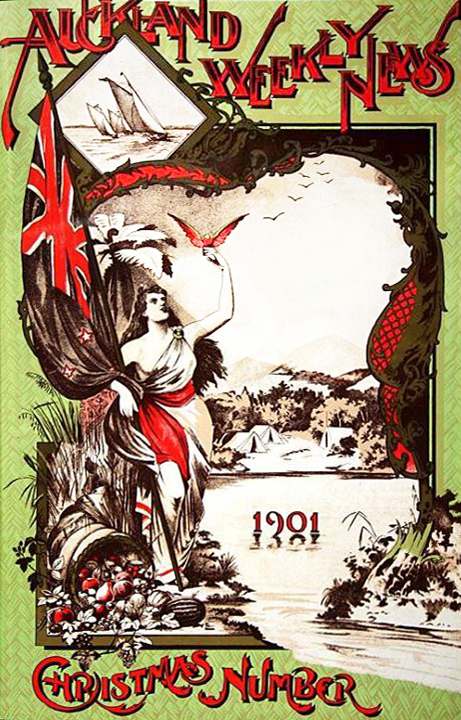 Woolworths had been present in Australia from 1924 (Her Majesty’s Arcade, Sydney, was the first store) and in New Zealand from 1929 when it was founded by Percy Christmas , at which point the Oz and Kiwi interests were separated. The Wikipedia page for Woolworths claims that its first food store opened in Auckland in 1956, and supermarkets in 1971. 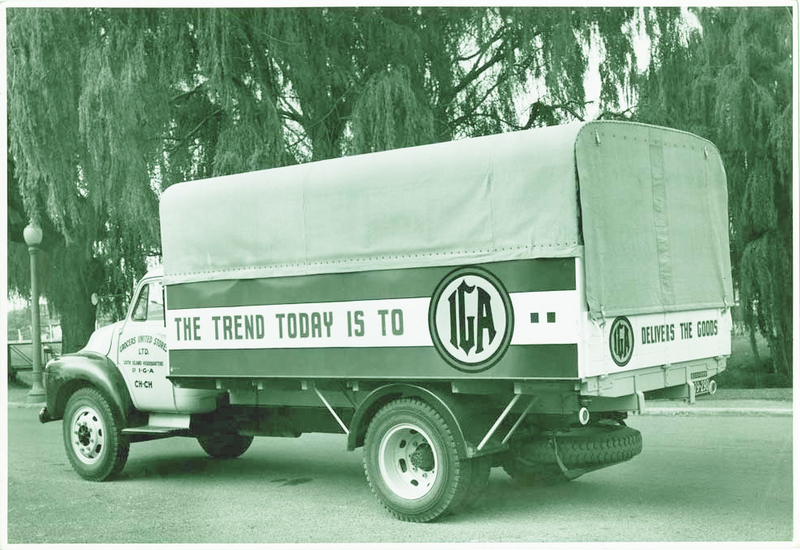 Then it also goes on to state the first supermarket opened in Henderson, West Auckland (which was the nearest town of significance to my home as a child) in 1967. The discrepancies are confusing. 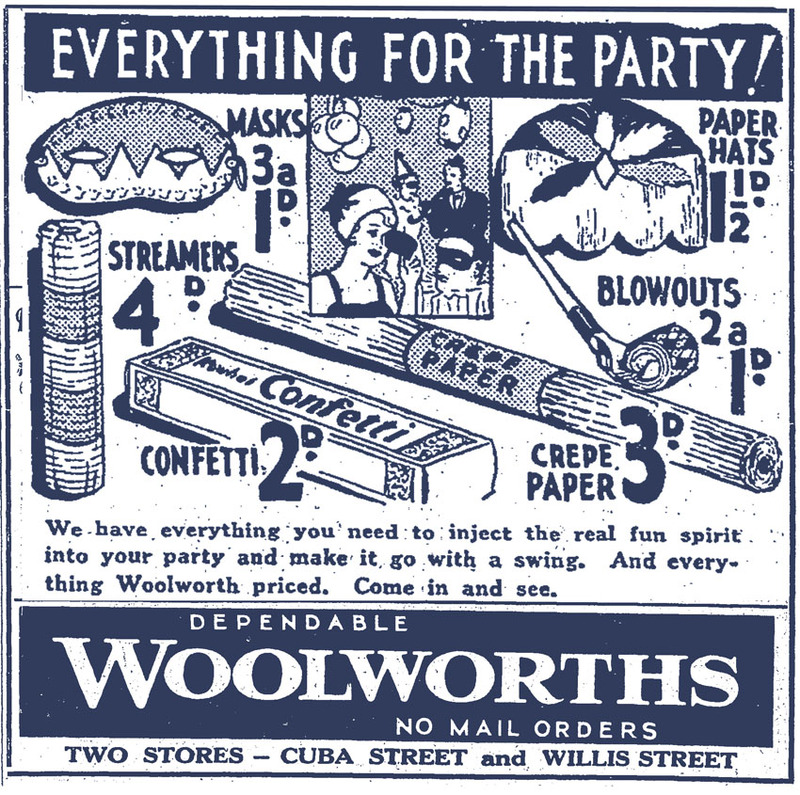 Depending on if and how the “Woolworths Food Fair” stores actually differed from a “Woolworths supermarket”, and when the actual “Food Fair” banner was phased out for good, would deem whether either of the dates provided is correct, if at all. We know that Wikipedia is a little unreliable to say the least, and as far as I know this information is for the most part incorrect. 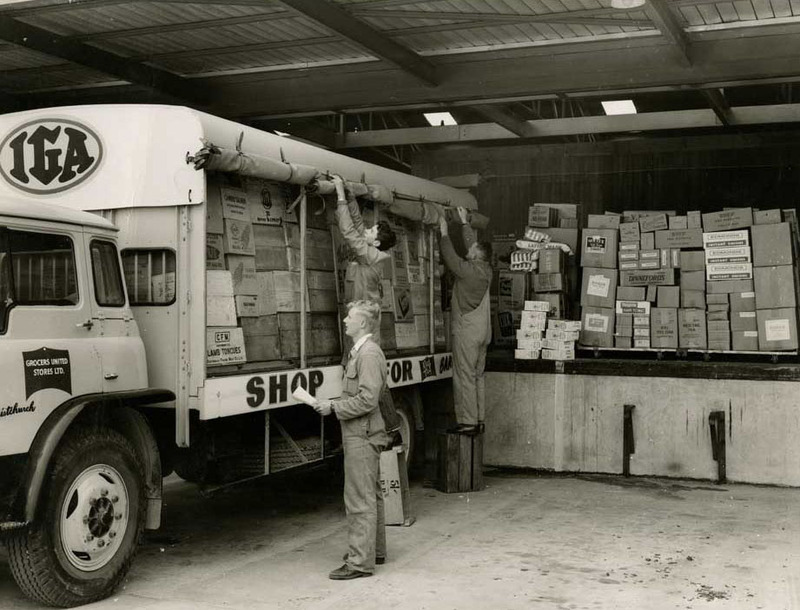 The first Woolworths “Food Fair” (food supermarket, as opposed to “Variety Store”) was opened at Panmure in 1956; and then the next one in New Lynn, West Auckland – not Henderson, on 30 October 1963. 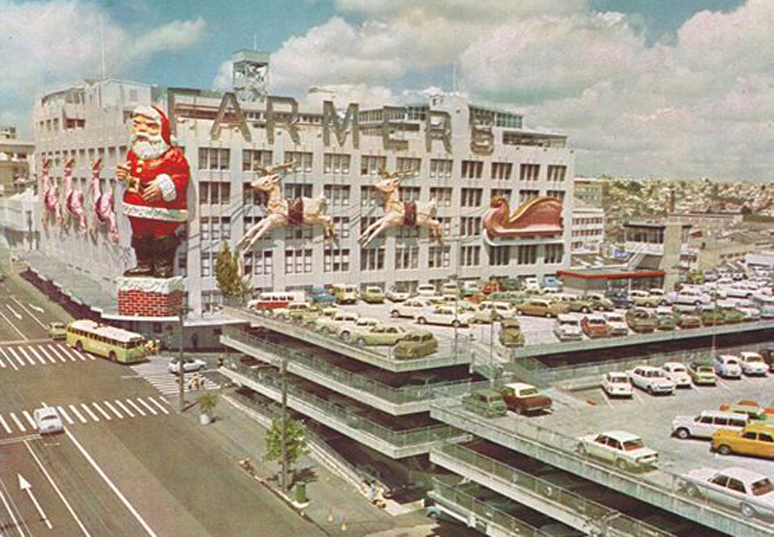 “Lynn Mall” was the first “American Mall”-style shopping centre in New Zealand. 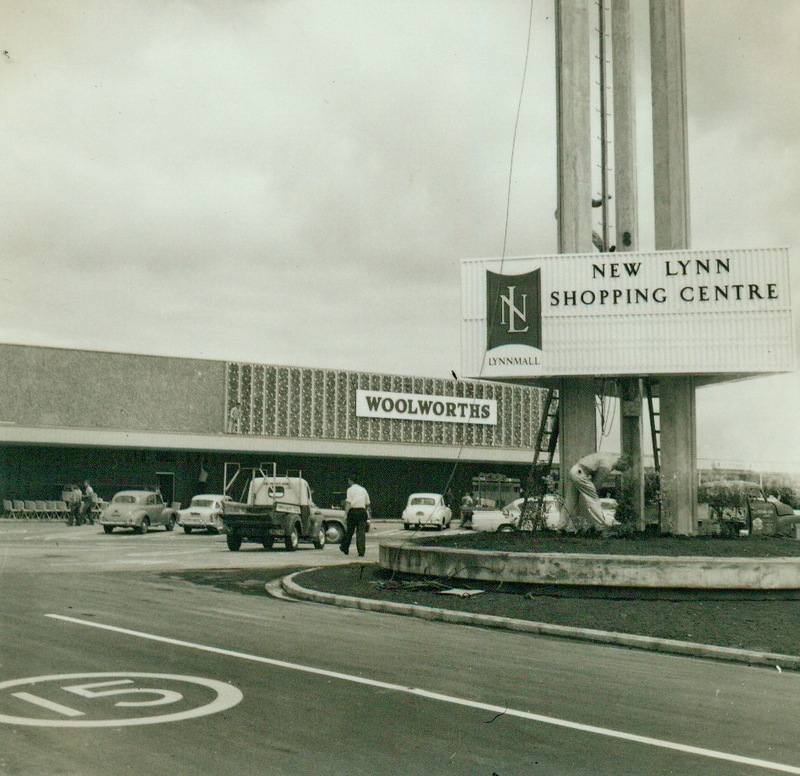 The Lynn Mall “Woolworths Food Fair” was the second separate, dedicated food store with cash register checkouts, trolleys, automated doors and parking like the supermarkets we know today. “Woolworths had a number of “Food Fairs” around Auckland and I guess other places as well. 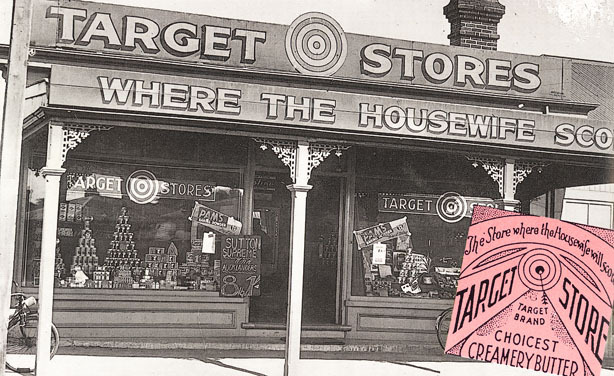 Each of the two main city stores in Queen Street had one tucked away in the back; and the Karangahape Road store, too. Taupo had one I know, as I have a photo of it. As for the Lynn Mall Food Fair, what I wrote about it is correct. 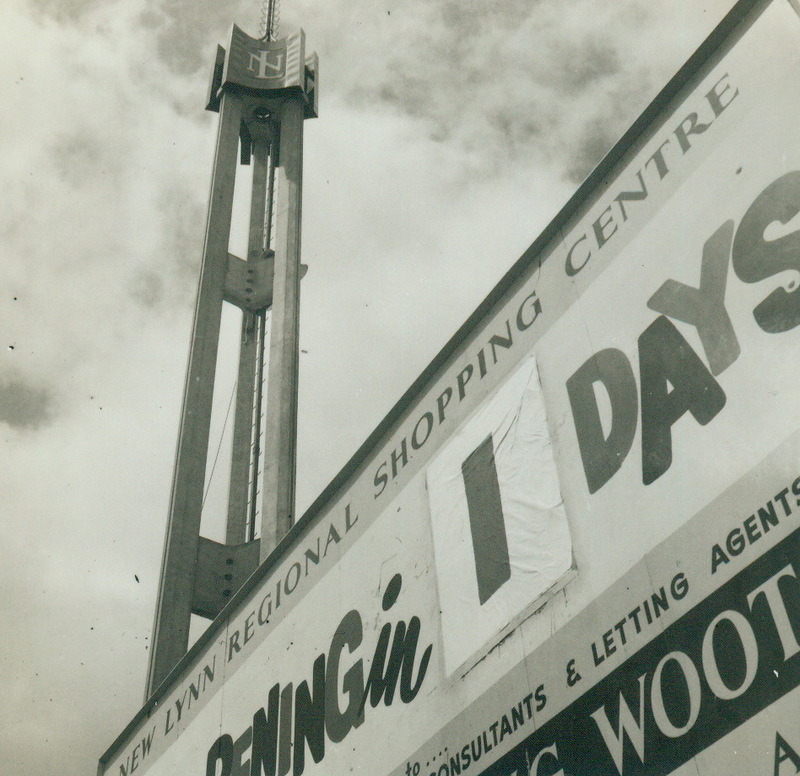 It was within the first drive-in shopping centre built in NZ and opened in 1963. The other Food Fairs were just sections of the variety stores and no parking other than on-street parking”. So far I reckon that the Progressive company information is a bit of a cockamamie history amongst a shoddy timeline where I’ve spotted several mistakes including a glaringly funny one; Progressive claim that the second Foodtown of 1961 had a below-cost opening special of Weet-Bix for 19 cents, Wattie’s peach slices for 21 cents, and potatoes for 29 cents per ten pounds. 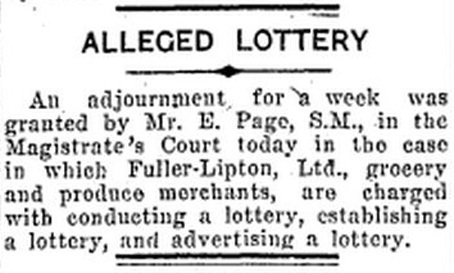 They even provide a clipping although amazingly…decimal wasn’t introduced for more than six years! Enough said. I’d say there’s not much doubt I have the story right, as I consulted with the very person who set up and managed the first supermarket when I was compiling the post “Snap ‘Em All” in February on “Lynmall” and Woolworths Variety/Food Fair. So, Lance was able to give me first hand facts as he was right there, and provided photographic proof. I guess all this research and blogging isn’t entirely useless after all! 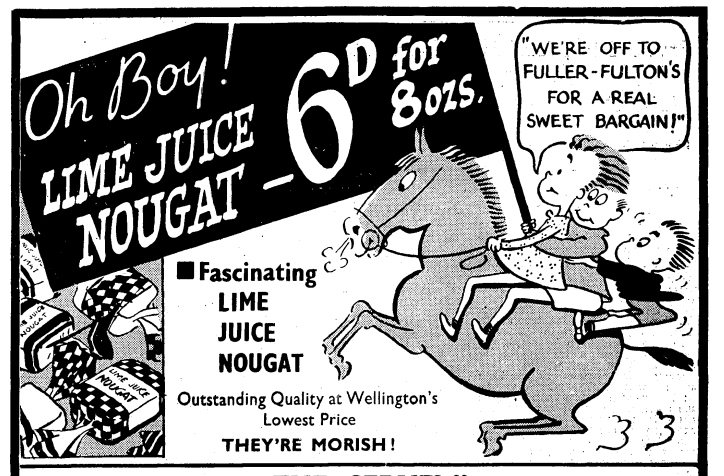 Advertisement for Wellington Woolworths Stores, 1934. Given the information I was in possession of, I was sure of my estimate of the mid 1960s for this item. It does look like it could be a bit older than that and now – it’s hard to say. Addendum late August 2012: Based on some information that came in this week I may have to eat my Woolworths (Variety Store) crepe paper party hat and rewrite this article. It seems Woolworths may actually be able to claim their Panmure store as the first New Zealand supermarket proper, depending on definition. According to my source, it was a freestanding building with Woolworths split into two under one roof; a Woolworths Variety Store, and a Woolworths Food Fair, which was the first instance a food store was separated as opposed to being a department the general variety format. So there you have it. And hopefully that’s final! (but I get the feeling it’s not). 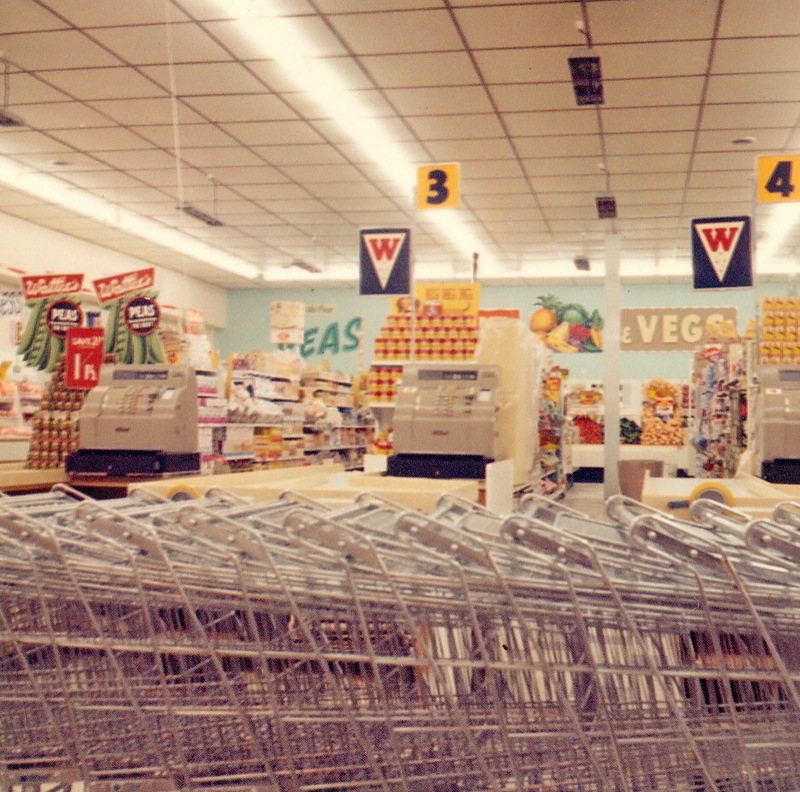 Did Panmure have the proper set-up with parking around the store, trolleys and cash register check-outs? I suppose I am trying to verify, if Woolworths Food Fair Panmure can claim the title of the first proper supermarket as we more or less know them today, in comparison to Foodtown of Otahuhu in 1958, which definitely was a stand-alone building and had parking and trolleys, air conditioning, automated doors and cash register check-outs.It all comes down to those details I think because the difference is previously there was self-service to a degree, no matter how insignificant – but not all of the features, of what would be termed “American style”. (I am excepting having your groceries taken to the car, which was probably a new advent and can be disqualified from impeding the definition). 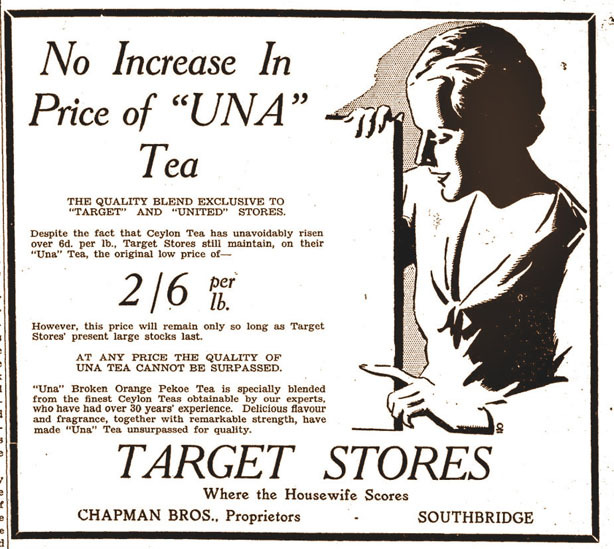 It was partly the McKenzies chain of stores who were responsible for the introduction of the “‘American style” features in the shopping experience in Aotearoa after founder John R. H. McKenzie observed the rise of the five and dime store-style experience after a 1928 trip to the U.S., and upon returning to New Zealand, promptly relocated and restyled every one of his twenty plus stores modelled after this format. Although McKenzies really was in the “variety store” category of selling general merchandise, so the award may go to a store, or small chain of stores, named Fletcher’s of which there has been rumblings of acknowledgement as being the first one to offer any sort of “self service” – it’s possible this refers to stores owned by J. Fletcher who had a small number of stores in the Ohakune and Raetihi, (Manawatu-Wanganui) and Matawhereo, Gisborne areas in the 1900s-1910s. The last mention I can find is 1920 and they seem to have disappeared by the following decade. But it is more likely to be Fletcher Bros who were running general stores based in Christchurch and Ashburton areas in the 1890s-1910s. Self Help established in 1922 strictly falls into the grocery store category and of course was well known for popularizing the personal shopping experience, hence their name…although for quite some time customers only selected their groceries and bought them to the counter to be weighed out and packaged by the storekeeper (so not much of a change, really, except less use of ladders, probably). But still, none are food markets as such. 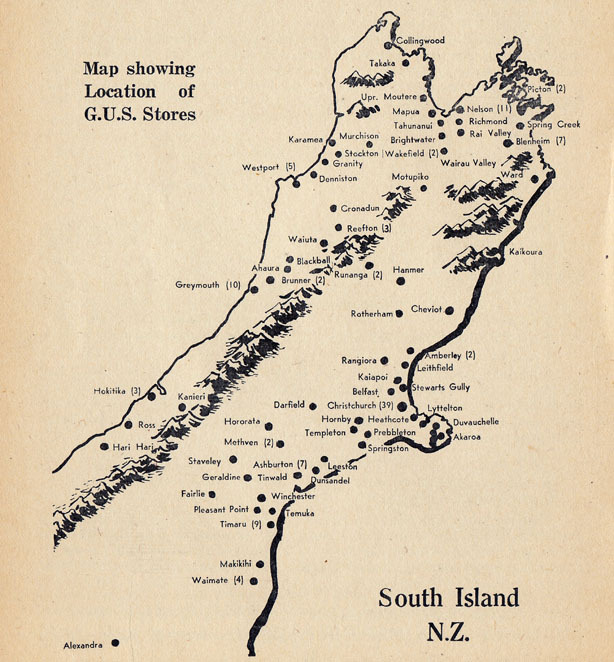 Although Wardell’s had a supermarket in Wellington by 1956, again it was not completely self service so is also removed from the running. Unless the Panmure Food Fair had all the “new” features I list earlier to qualify, then Foodtown will probably keep it’s claimed title of “the first American-style supermarket in New Zealand”. And Food Fair of Lynn Mall relegated to ” the first dedicated supermarket in an American-style mall”. And thus it goes… Anyway, apologies to Progressive for dubbing you “cockamamie” – it was Wikipedia’s fault…honest. If in doubt blame a Wiki I say…any Wiki. That said, someone linked the Woolworths page to this article and some asshat immediately deleted the information. Companies really don’t like it when you “mess” with their “history”. And I am still waiting for death threats from someone over the Iced Vovo thing. 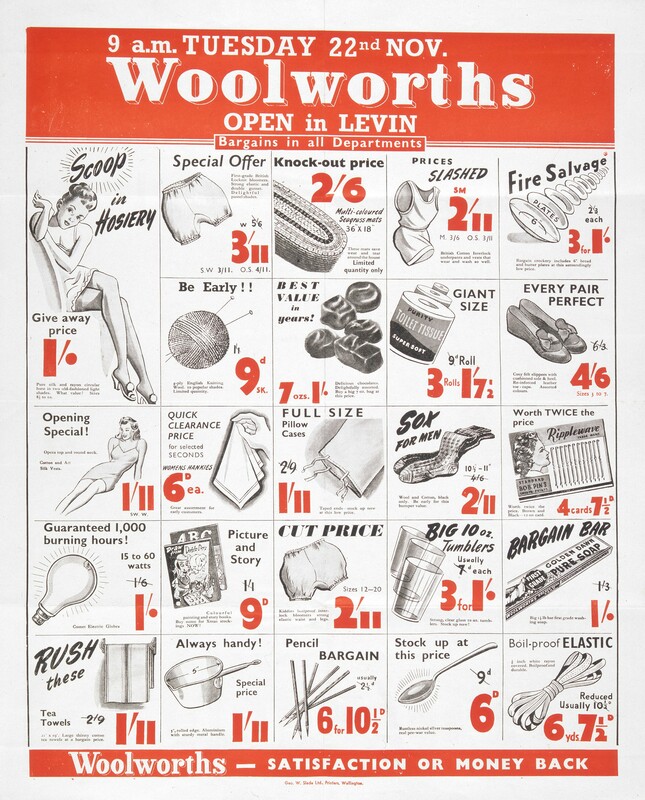 Woolworths Ltd of Levin, November 1949, National Library NZ collection. Addendum early September 2012: I’m sad to say that one of New Zealand’s longest running chains, Woolworths, is over in New Zealand. When the Woolworths NZ business, under the auspices of Progressive Enterprises (Foodtown, Countdown, (ex) Georgie Pie etc) was acquired by Woolworths Australia Ltd in 2005, a decision was made to phase out the brand and move to the Countdown banner by 2014. This happened a lot faster than anticipated; by 2010 all South Island stores were gone. By the end of 2011 all North Island stores had been changed over. Technically there is just one store left in Mount Manganui, Auckland. However but for all intents and purposes, the Woolworths brand is defunct. Woolworths Food Fair Panmure was the first separate food market in New Zealand but was not a stand-alone building, and did not have the complete American-style features. Disqualified! Foodtown Takanini was the second stand-alone food market with all American-style features.Therefore it was the second supermarket in New Zealand in 1961. 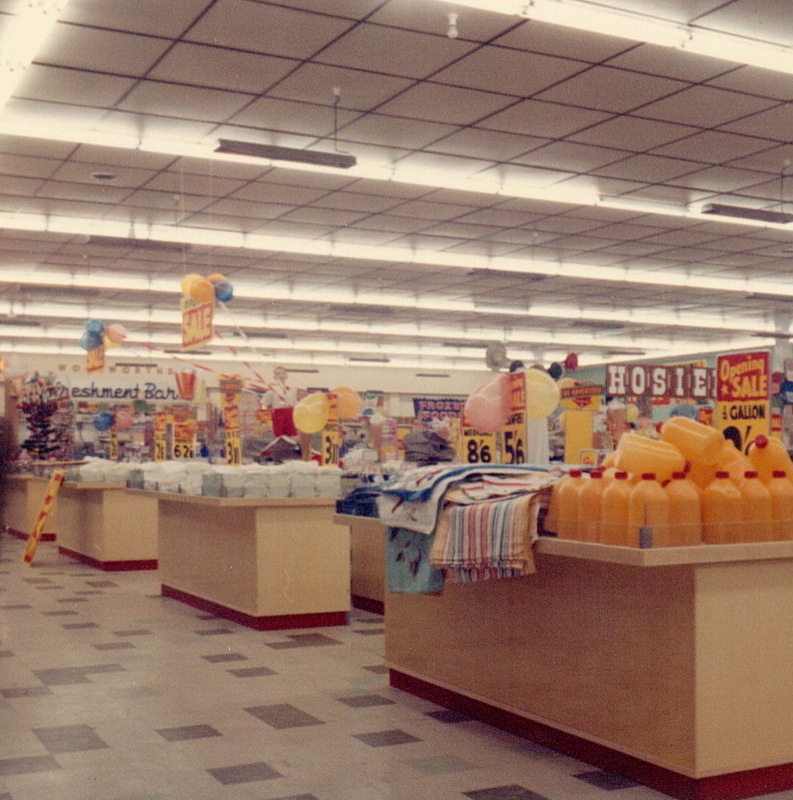 Woolworths Food Fair in New Lynn was the first dedicated food market in New Zealand with all American-style features in an American-style mall . So technically, it was the third supermarket in in New Zealand, but the first supermarket in a shopping centre. No, really, I am done now! Addendum early November 2015: More additions than any article I have written yet, I think. However this is not in relation to the supermarket history – but back to the original subject – which was the Super-Sip box. This wax paper cup has popped up on the Te Papa site recently. 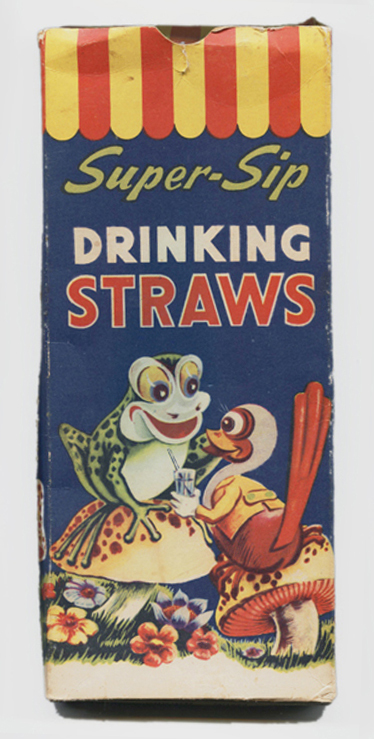 I immediately recognised the illustrations on it as being the same as the straw packaging that was sold in New Zealand and Australia. 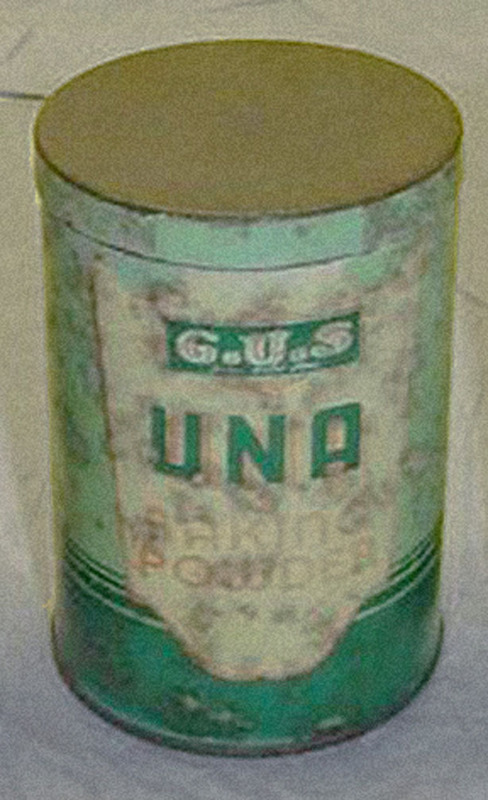 The cup was made by Frank Winstone Ltd of Auckland, a grain and seed merchant that had been around in Quay Street since at least the 1900s and later segued into cardboard/packaging items; they had the licence for the American Lily brand to make cups and straws, their own very successful ‘Super-Sip’ brand, and a contract to make school milk straws until that scheme was phased out in 1967. 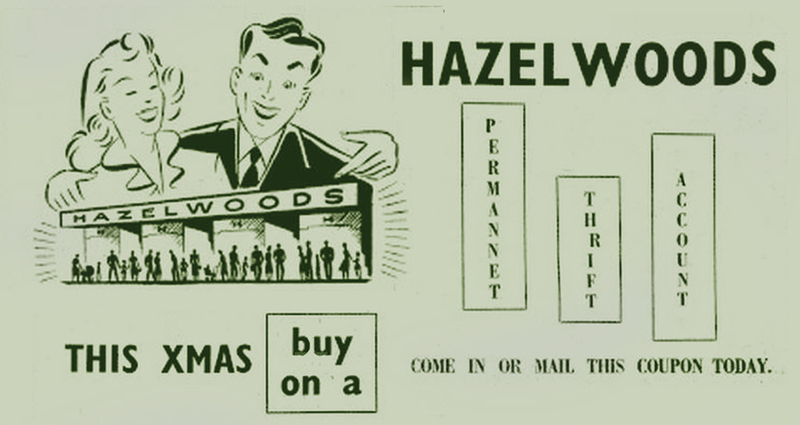 They no doubt made items for many chain supermarkets and variety stores, such as Woolworths, of course. When I say ‘made’ I mean Winstone created and distributed the cups. But they were actually manufactured by Carton Specialities Limited, which I wrote about this year in my article on the Uncle’s fast food takeaway chain here. 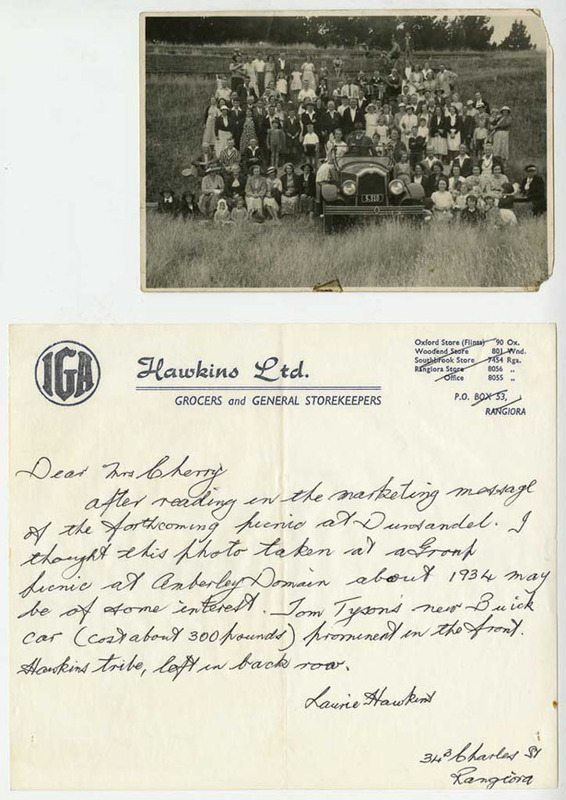 (like CSL Winstone also had a Henderson, West Auckland branch). So we can assume the cup below was also made under the Super-Sip brand for Woolworths stores. We don’t have the original packaging so we may never know for sure, but I feel confident to make this leap. Further to that this revelatory matchy-matchy item means the straws box, which I thought may be as far back as the mid 1950s- quite possibly dates from much later – the 1970s. Disposable wax paper cup by Winstone, 1970s. 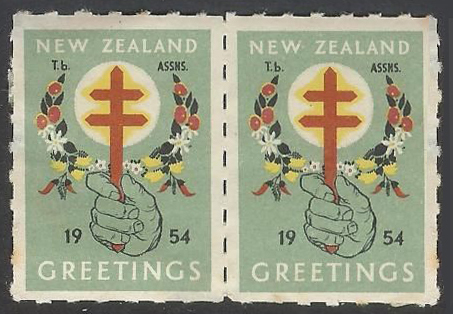 Image courtesy of the The Museum of New Zealand Te Papa Tongarewa collection, ref GH024337. I happened upon this extraordinary set of photographs on Flickr this week. They are so for two reasons: Firstly because if you are searching for this genre there is certainly enough of it; although almost without exception, all of the material is American. Secondly, I remember it well. How often can you say that? “I remember it, because I was there”. New Lynn was near enough to the family home , but still far away enough that it was still a bit of an “outing” for special requirements. Seeing photos of it – boom! – instantly transported me right back to shopping with Mum alone in too tight toddler shoes; and then later when my sister was added, her and I chasing each other around amongst the huge plant pots in the ubiquitous “modern age finish” of the bleak, pebble encrusted courtyards. And amongst the shelves and aisles of Woolworths to keep ourselves entertained, probably knocking things to the ground with our antics, to disapproving result. The photographer has enjoyed the medium as a hobby for over 55 years without any formal training. ” These are Images of Woolworths Stores in New Zealand I worked at, or visited.The Lynnmall photos were taken night before official opening in 1963.This was a big event in Auckland, as it was the first regional shopping centre in New Zealand (this was six years after the first one in Australia opened at Chermside in Brisbane). I worked on setting up the store here, then three months later came back from a stint with Woolworths in Australia to manage the Food Fair in Lynnmall. there are probably thousands of occasions where people have captured similar moments around the world. The photos, most likely, get looked at, put in albums or boxes and stored away. If only they would dig them out and add them to a service like Flickr – just brightening one person’s day would be worth the effort “. Well, to me this series is an incredible documentation, especially for more personal reasons than others. Brighten my day it did. It’s the kind of stuff I often think “I wish someone had taken photos of something like that – but they never do…” and then, what do you know. Thank god for people with cameras at the ready. I love to zoom in and look at the designs of the packaging, most now long gone. 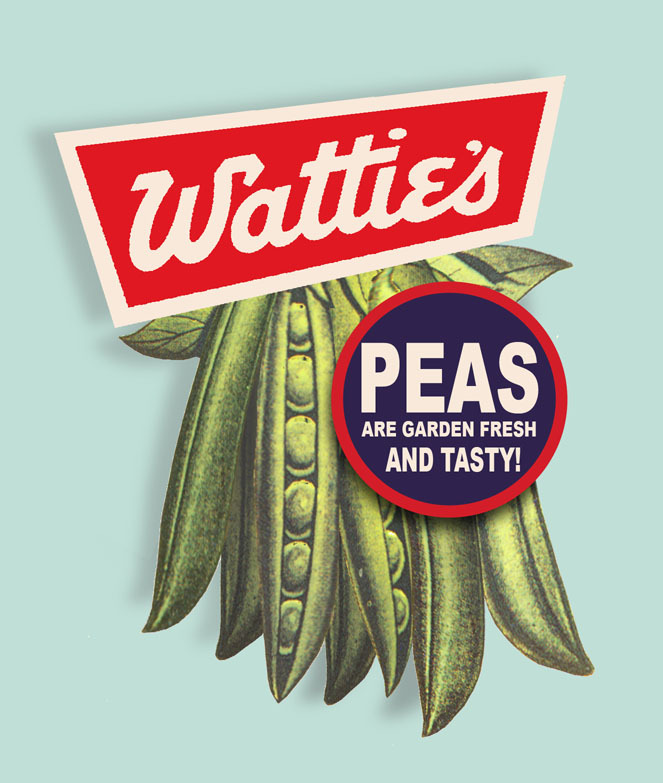 Here is a digital recreation of a can label I was able to make from the almost indecipherable image of the Wattie’s product stacked on the shelves in the store over to the left in the photo above. I also recreated the POS cardboard display. I’m not sure about some details such as the medallions on the can, but I was able to work with details from another 1950’s can label and photos I’ve collected. Thanks to Degilbo for use of the images.